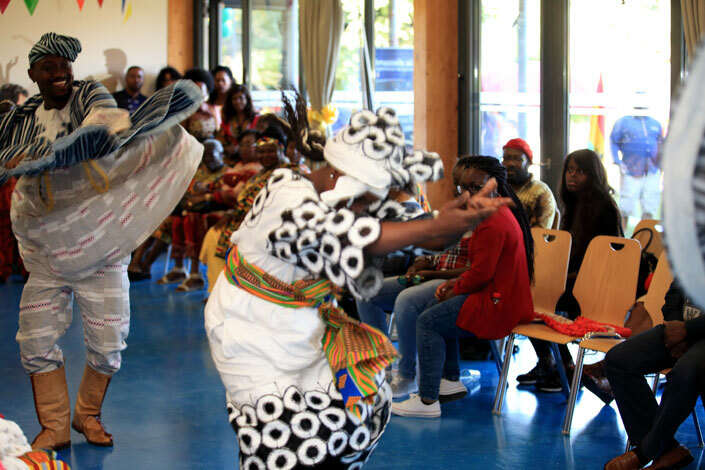 We had our cultural event in Meyrin on 2 June 2018. 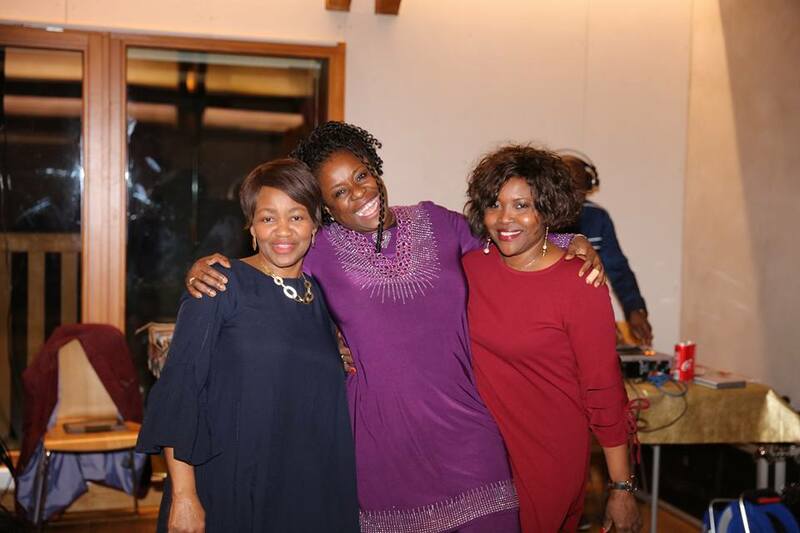 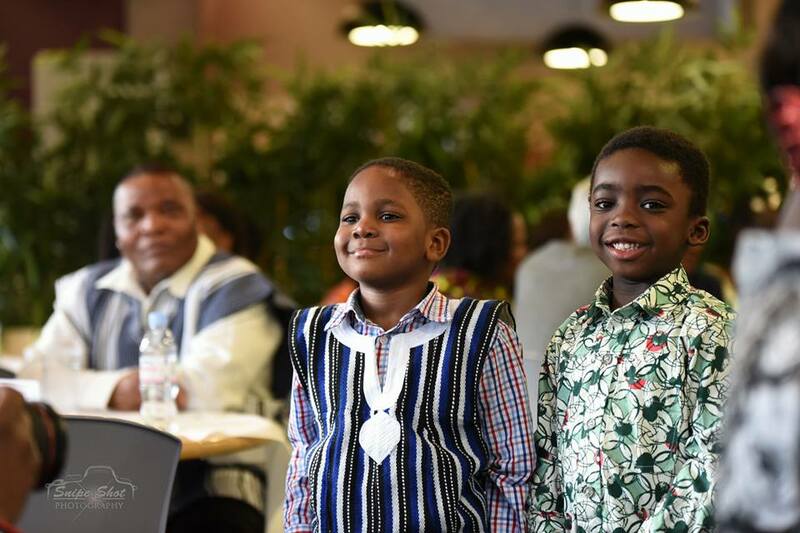 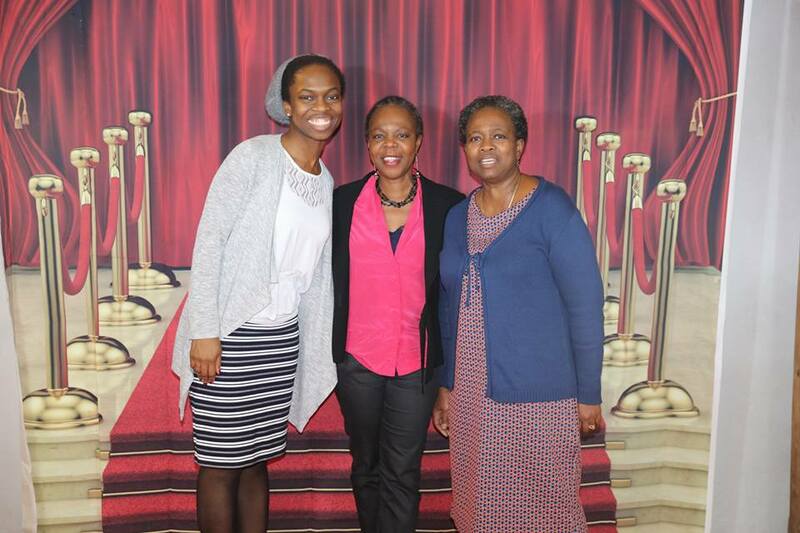 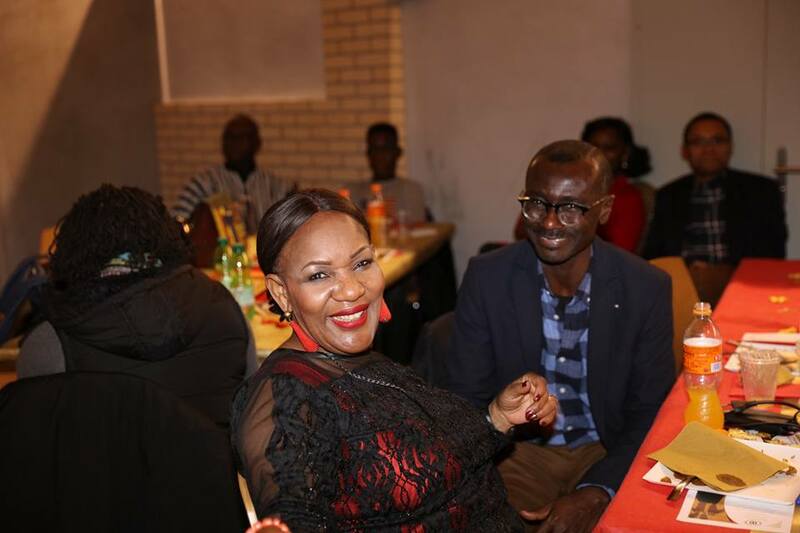 The Community in Geneva celebrated 61 years of Independence and annual Independence Day Thanksgiving Service on 11th March 2018 at the Centre Paroissal Oecuménique de Meyrin. 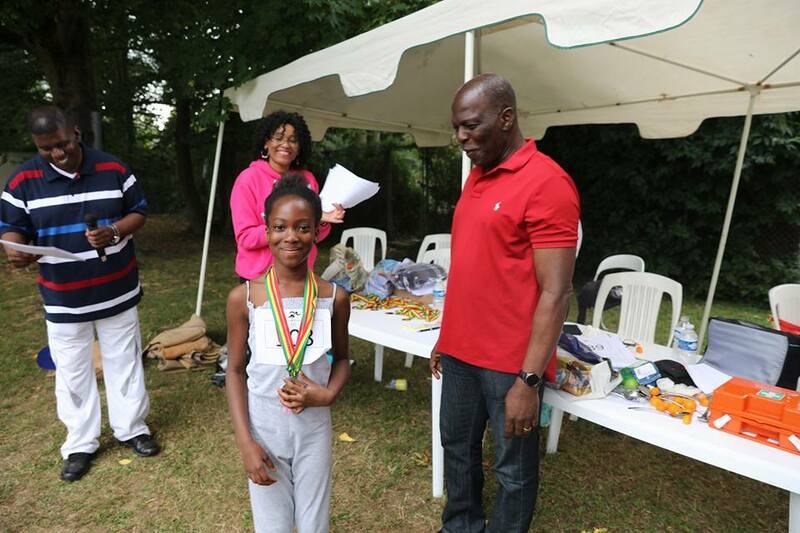 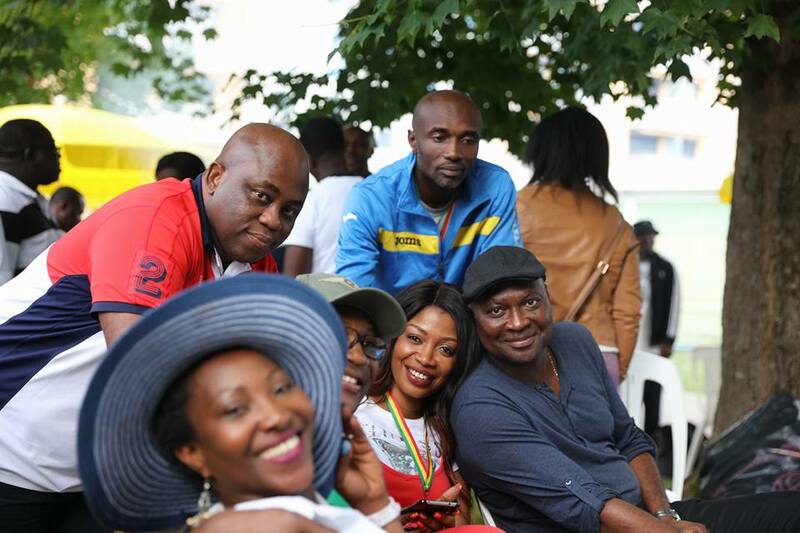 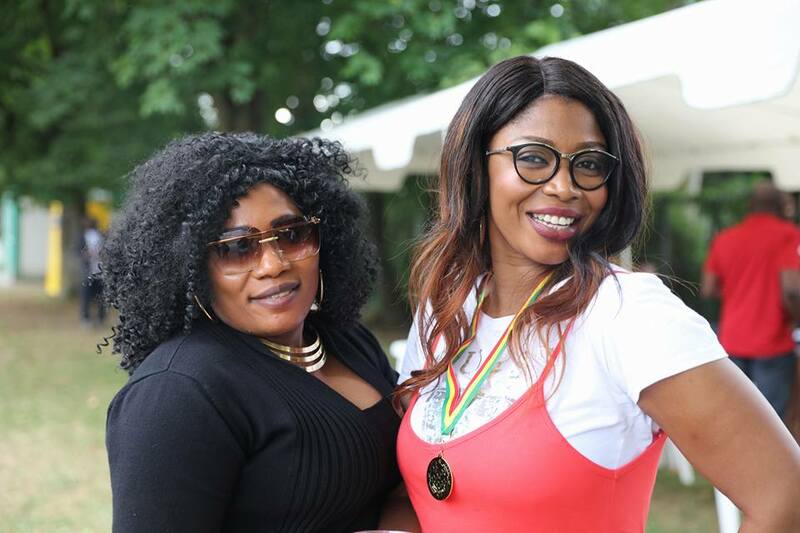 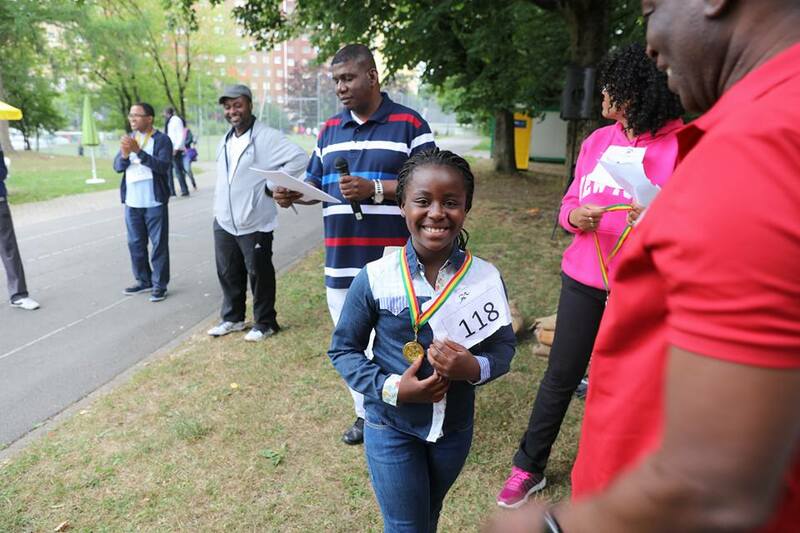 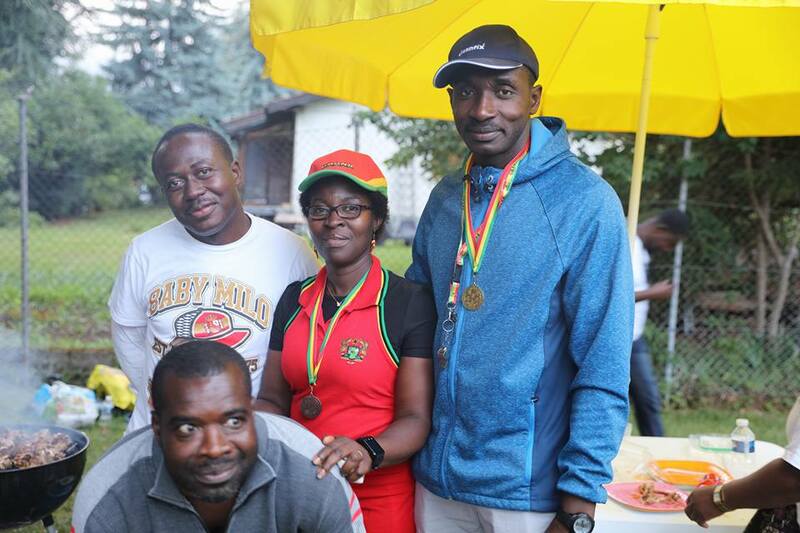 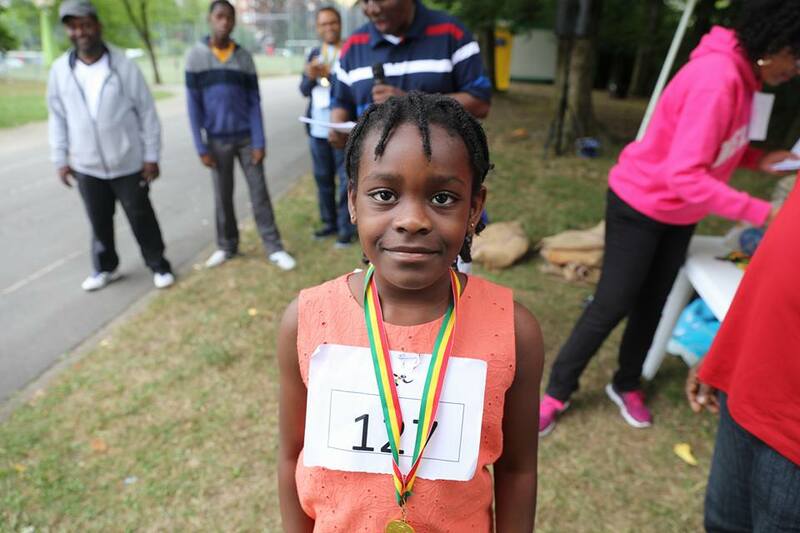 To remind the Community of the need to stay fit and healthy, the Ghanaian Community in Geneva organized summer games and presented medals to deserving winners. 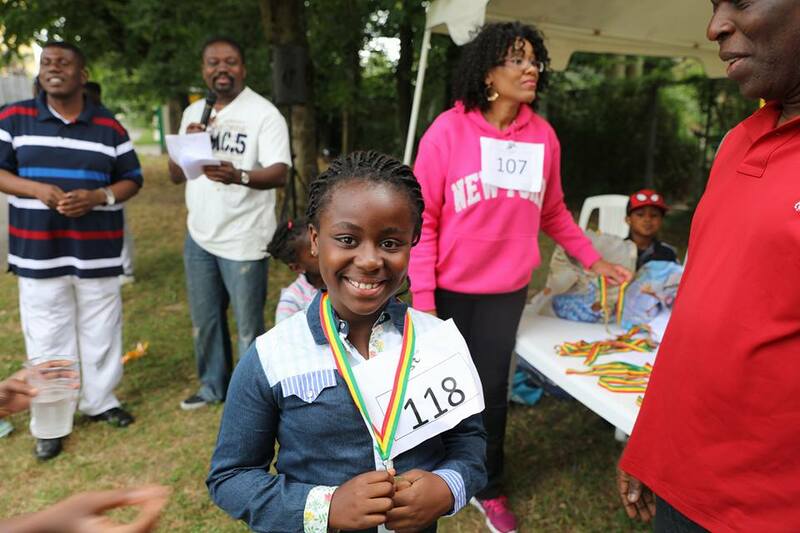 The games featured 50m, 100m, lime and spoon race, sack race, tug of war. 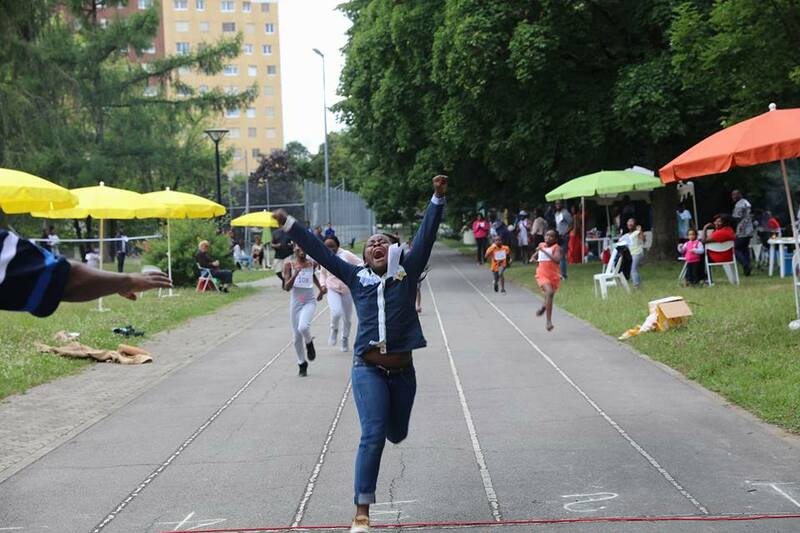 Geneva welcomed a new 100m champion for the men's category. 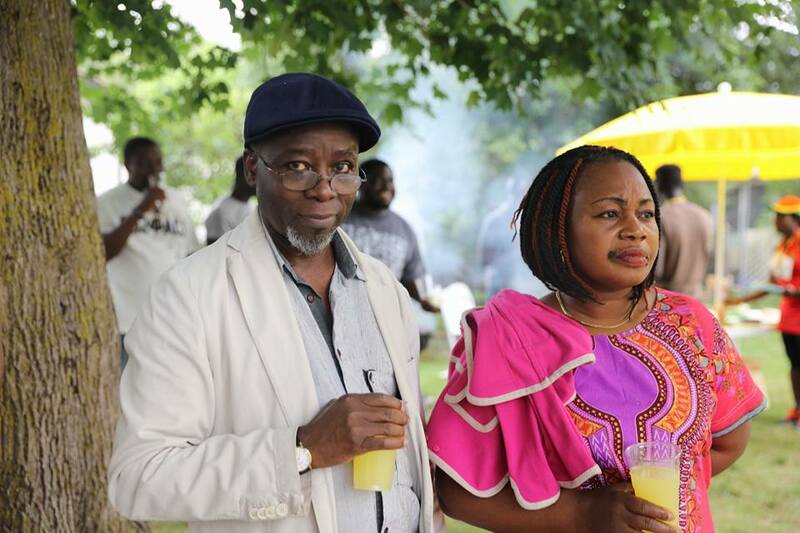 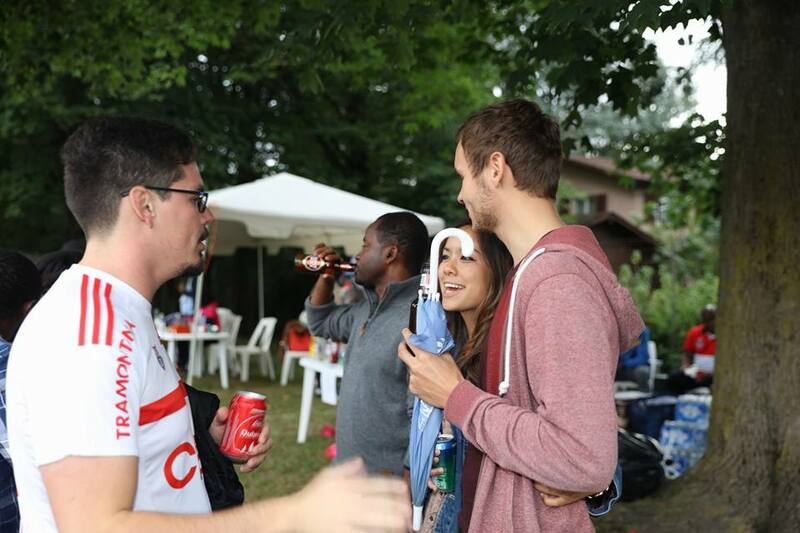 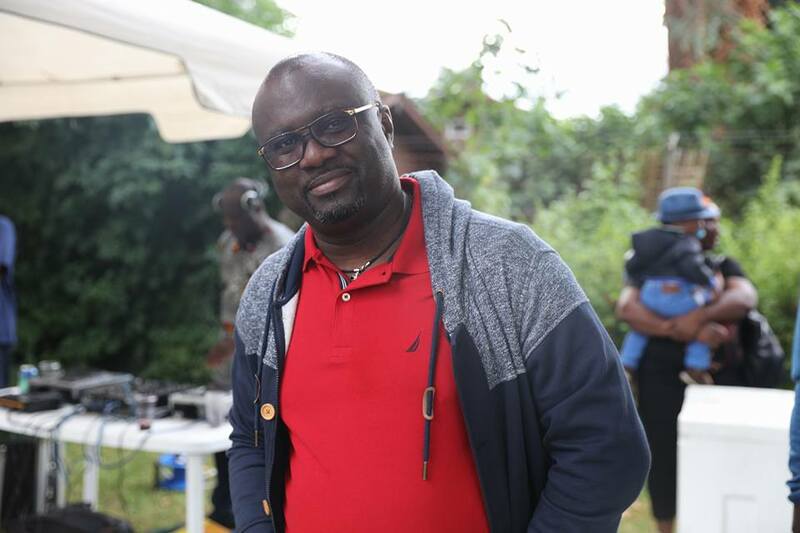 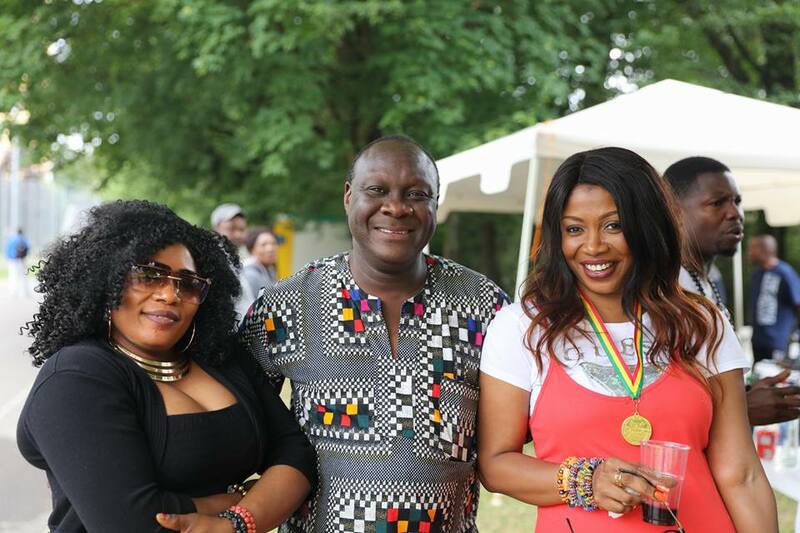 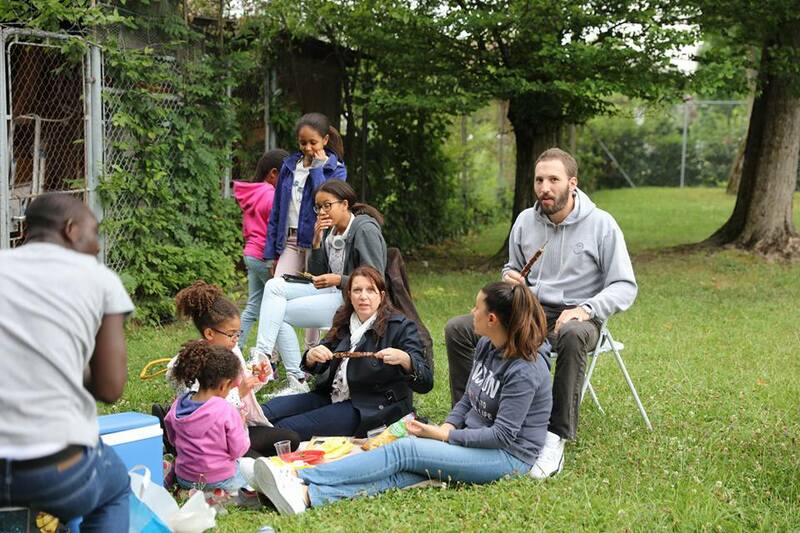 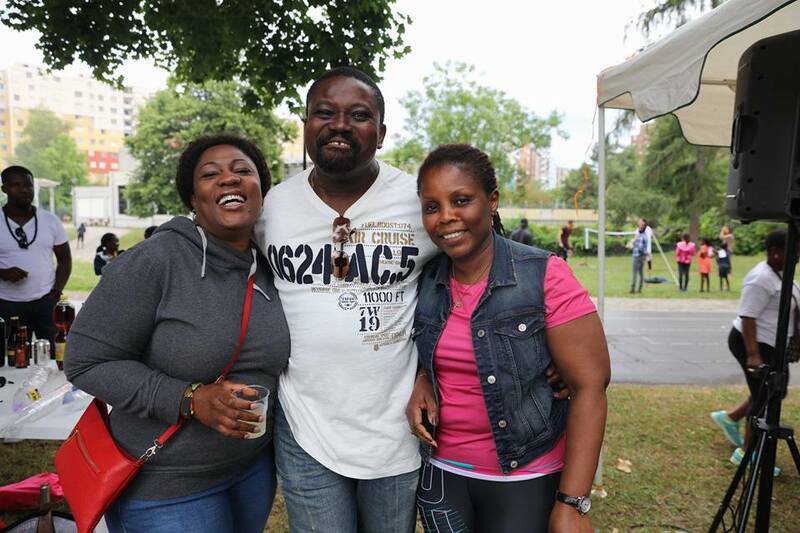 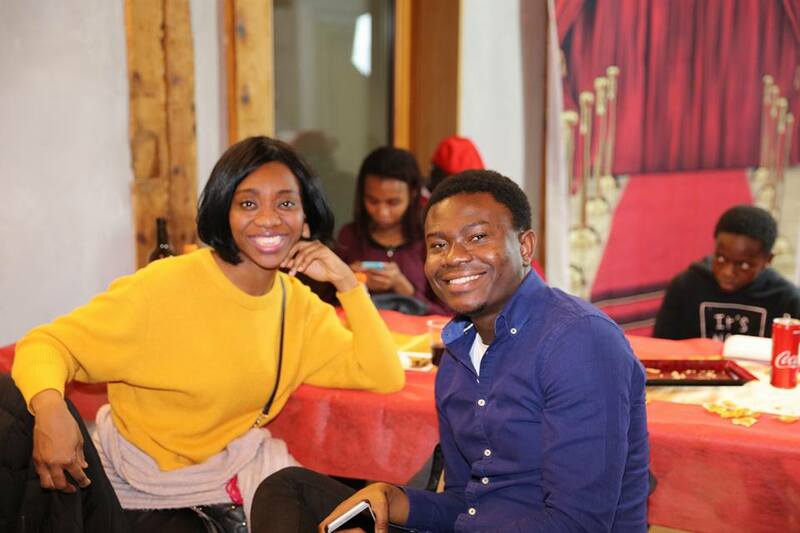 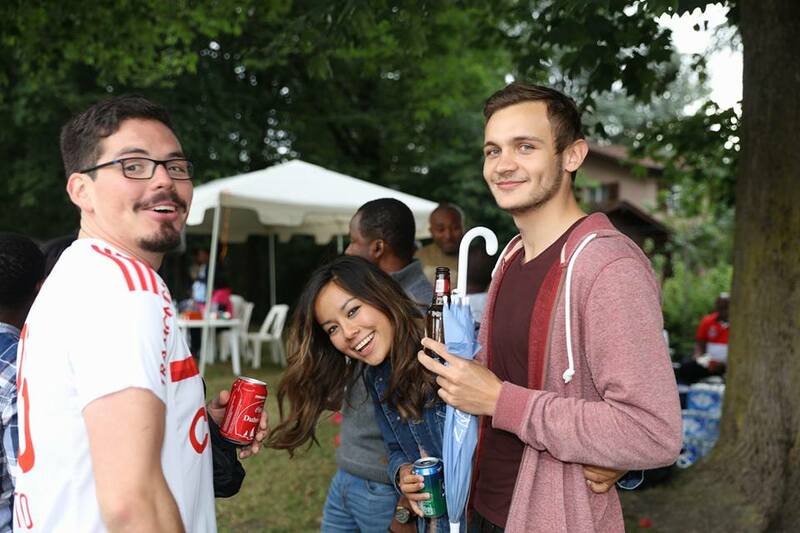 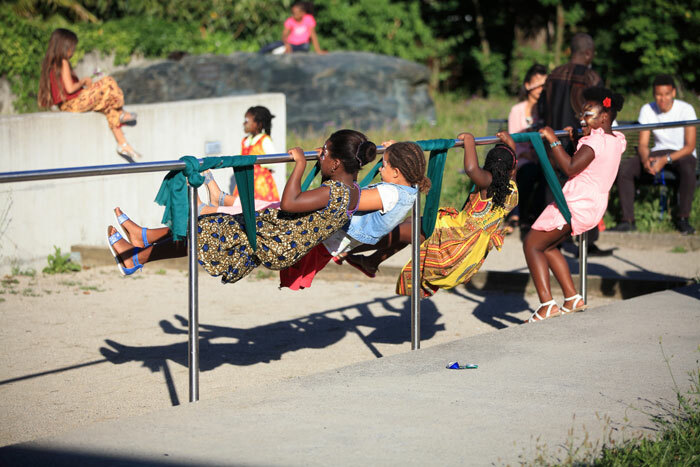 The bbq which followed provided Ghanaians in Geneva with an opportunity to interact while sharing a meal. 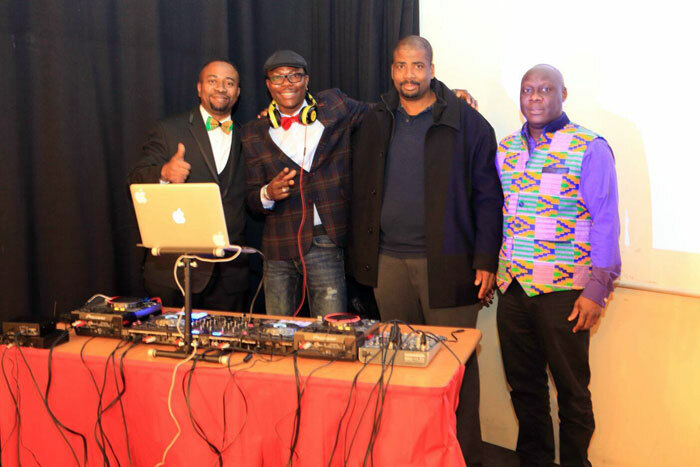 Ghanaians in Geneva held an end of tenure party for His Excellency Ambassador Sammie Edicco prior to his departure to Accra. 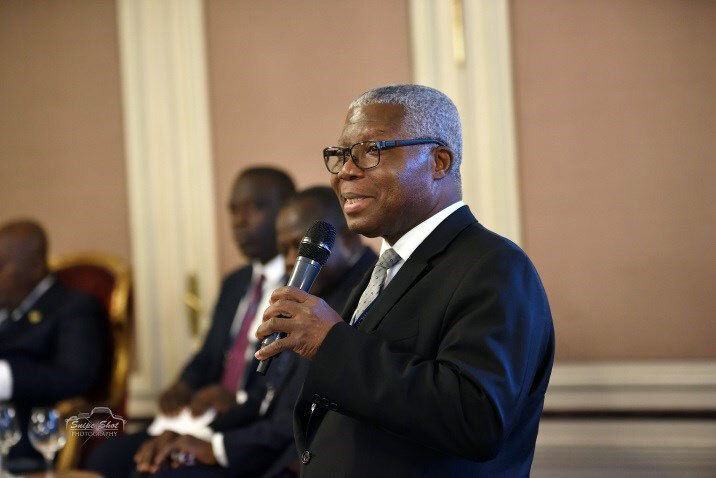 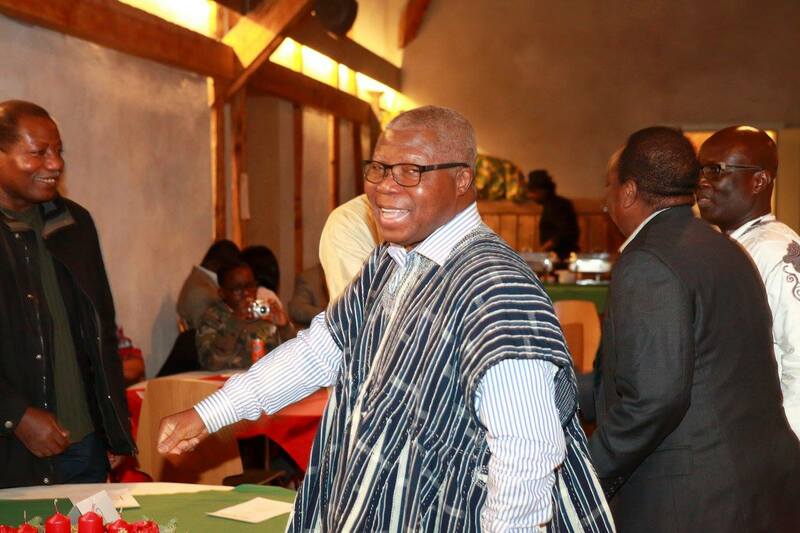 HE Ambassador Sammie Edicco was very instrumental in the formation of the Ghanaian Community and as a result, Ghanaians in Geneva thought it necessary to honour him before his departure to Accra. 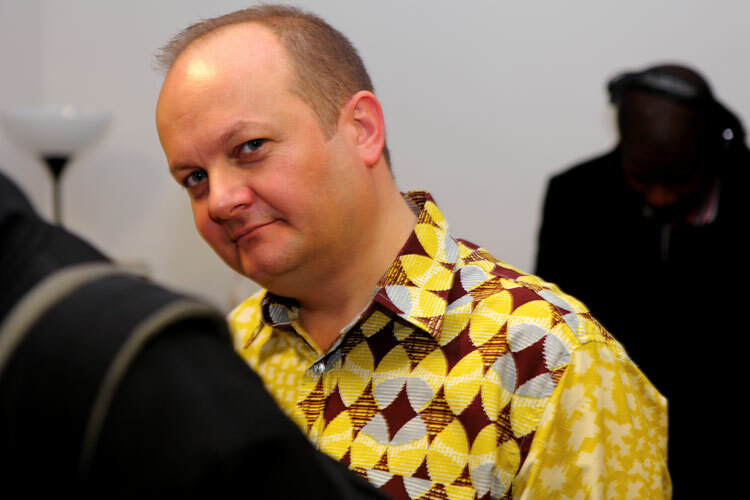 Ambassador Sammie Edicco was presented with a Swiss Cuckoo Clock to remind him of his time in Geneva. 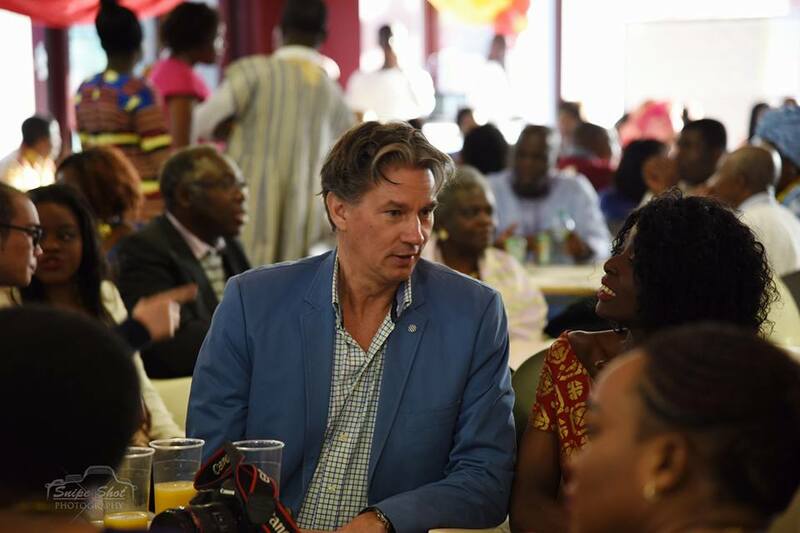 In response, HE Sammie Edicco thanked the Ghanaian Community for their support and wished us the best of luck and we forge ahead to build a formidable association. 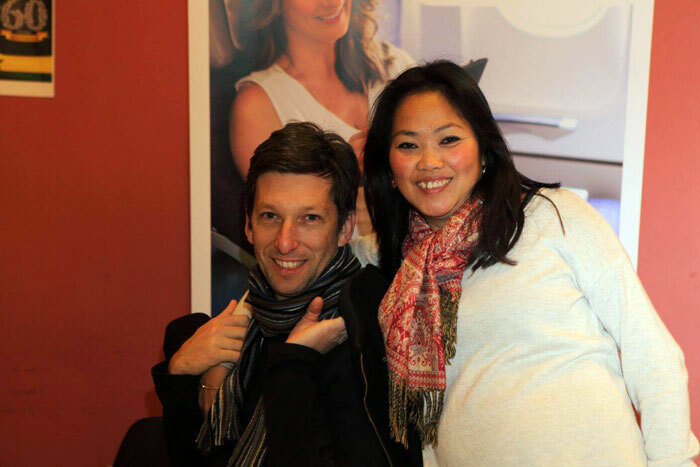 HE Sammie Edicco will be surely missed. 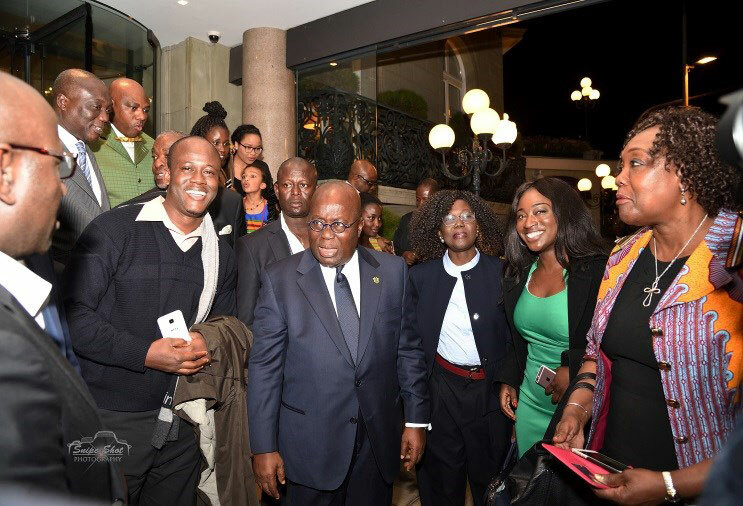 Despite his busy schedule, President Nana Addo Dankwa Akufo-Addo made time to interact with the Ghanaian Community. 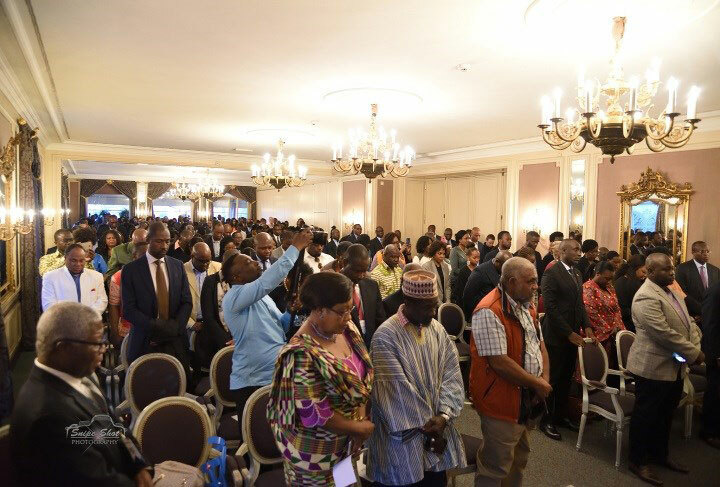 The meeting commenced with a brief welcome address by Ambassador Sammie Eddico, Ambassador of Ghana Permanent Mission to Geneva, followed by an opening prayer by Pastor Eddie Techie-Menson of Lighthouse Chapel. 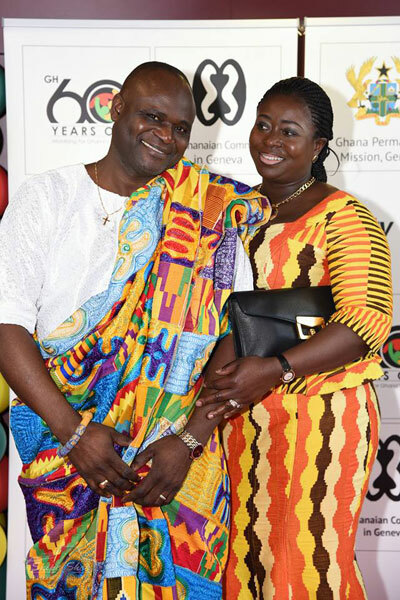 The President of the Ghanaian Community in Geneva, Mr Kofi Amekudzi, thanked President Nana Addo for making time to meet the Ghanaian Community in Geneva and Switzerland. 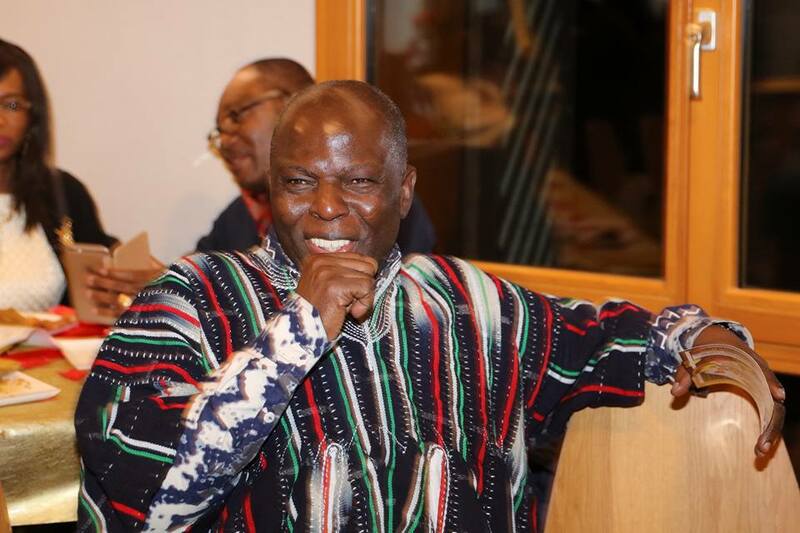 On behalf of the Community, Mr. Amekudzi congratulated President Nana Addo on his victory in the December 2016 elections and noted that Geneva is unique because it is home to many Ghanaians, with a considerable wealth of development experience, working with the United Nations and other International Organizations (in addition to those in the private sector), who could contribute meaningfully to the socio-economic development of Ghana. 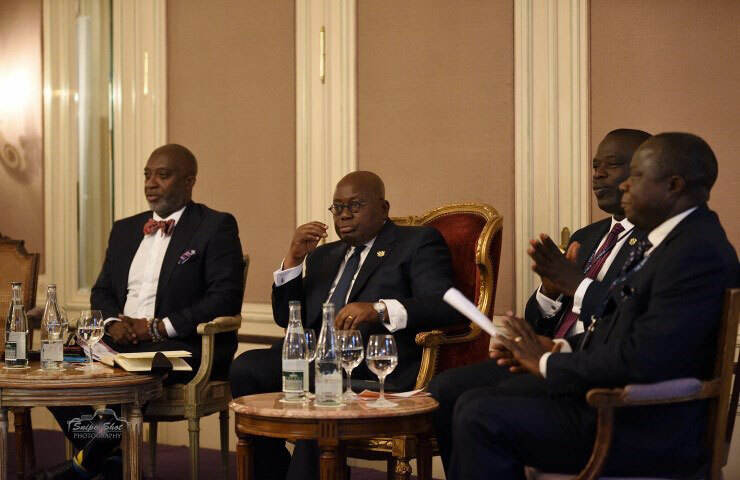 President Nana Addo Dankwa Akufo-Addo informed the gathering that his Government looked forward to moving Ghana forward. 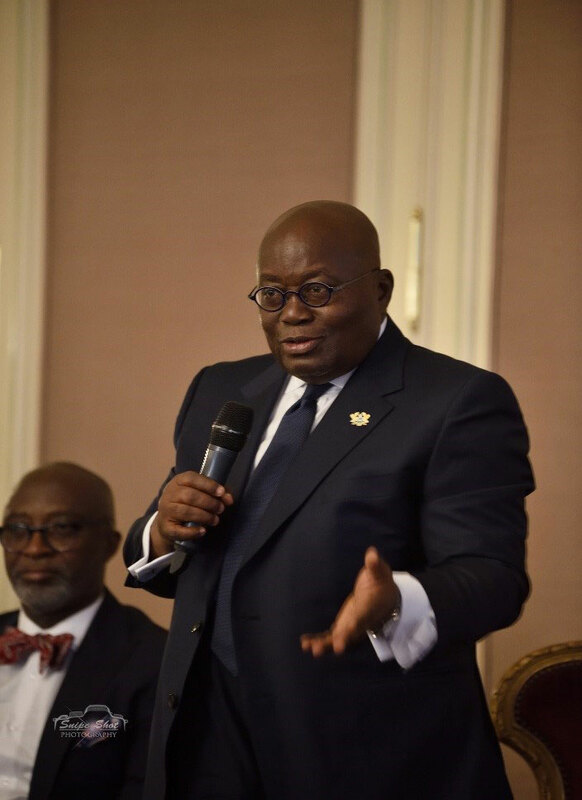 The President stated that the future of Ghana is one of limitless possibilities and we should work hard to achieve good results. 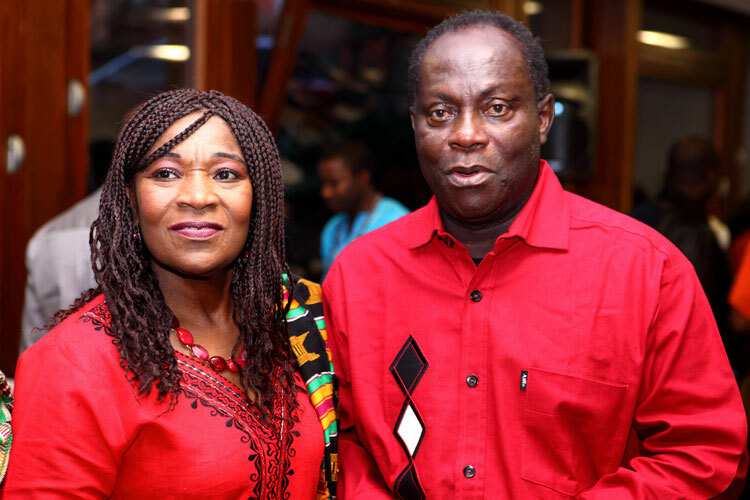 He reminded Ghanaians that the New Patriotic Party (NPP) had a track record of fulfilling its promises to Ghanaians in the past and his Government will not be an exception. 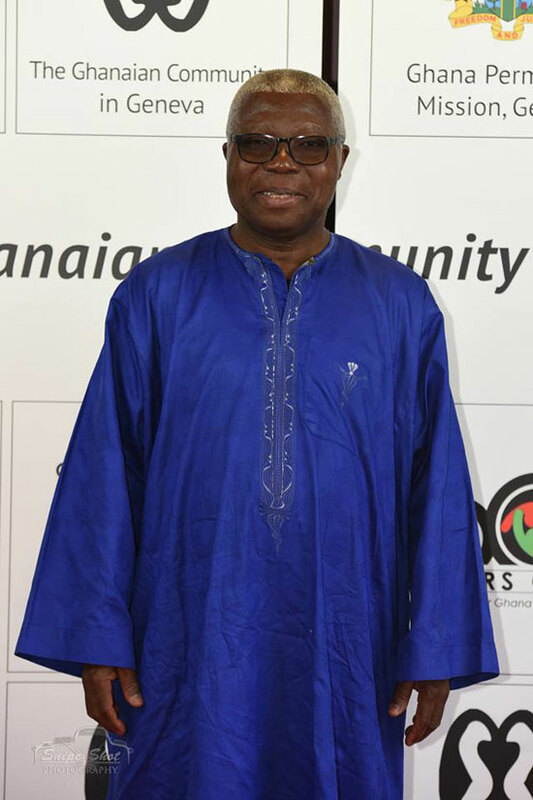 He stated that he has big plans for Ghana and outlined his policies for Ghanaians in the diaspora. 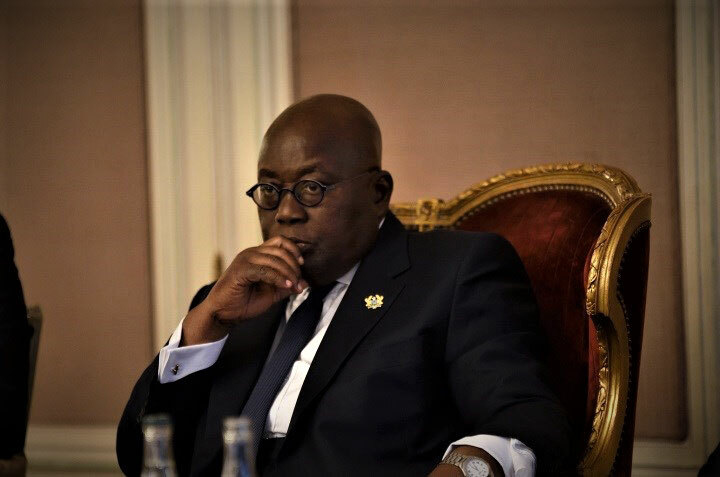 Addressing concerns about the size of his Government, the President indicated that the size of his Government was proportional to the task ahead. 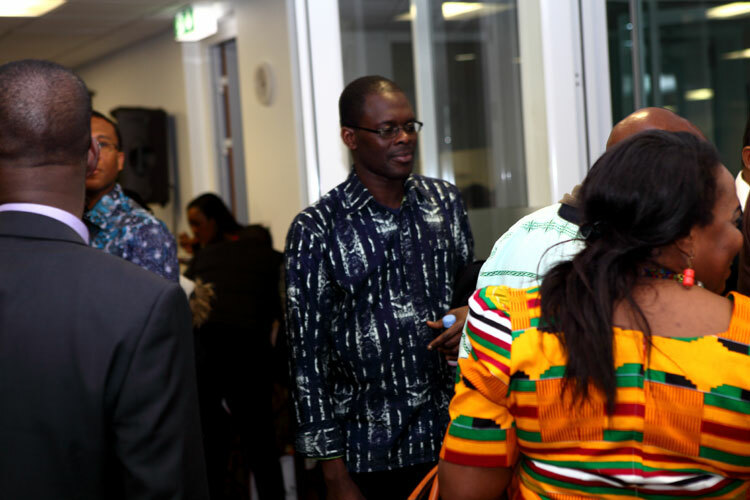 The Minister for Employment and Labour Relations and the Chief Executive Officer of the Ghana Investment Promotion Center also had opportunities to dialogue with the Community. 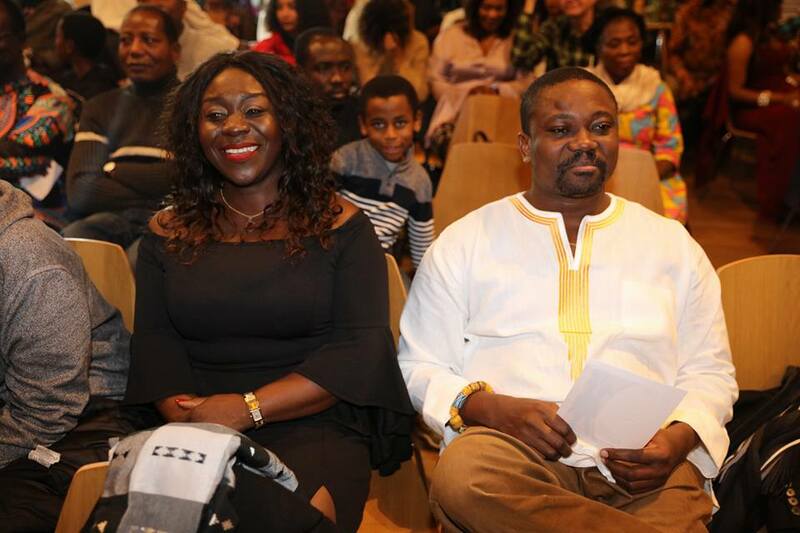 Members of the Community sought clarity on how the new Government intends to deal with the Galamsey menace facing the country. 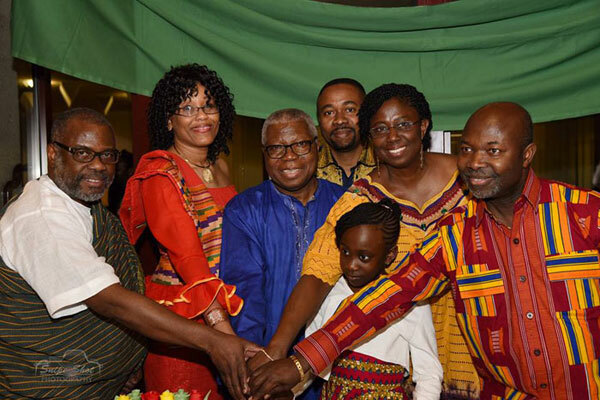 The President assured Ghanaians that his Government is committed to ending the Galamsey menace facing the country. 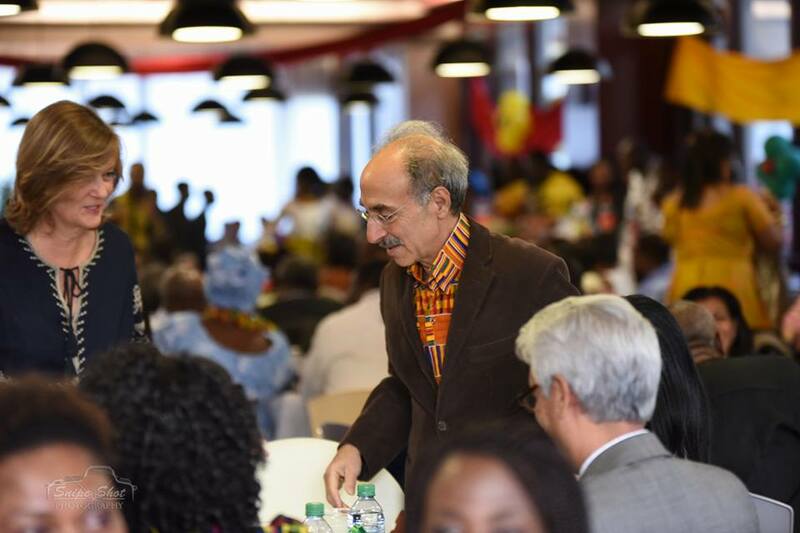 At the end of the event, Ambassador Sammie Eddico, thanked the Ghanaian community and President Nana Addo Dankwa Akufo-Addo shook hands with Ghanaians as he left the event. 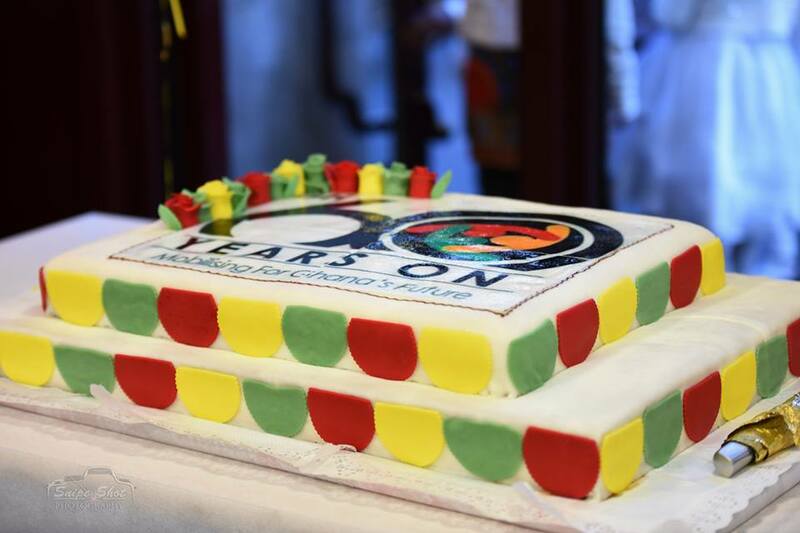 The Ghanaian Community in Geneva marked 60 years of independence with an Inter-denominational Church service. 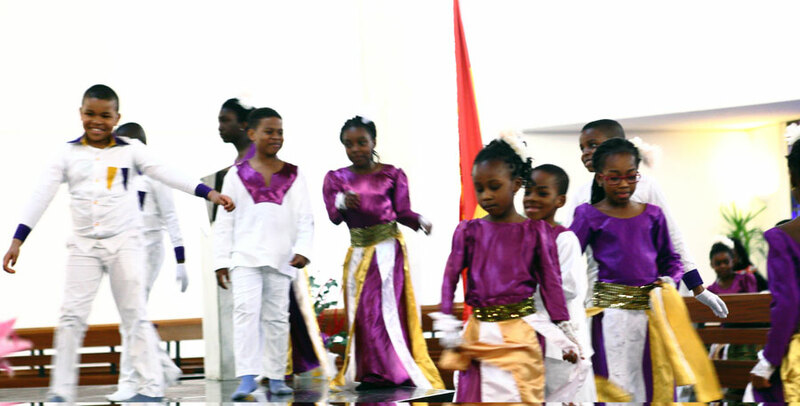 The theme was Righteousness exalts a nation (Proverbs 14:34). 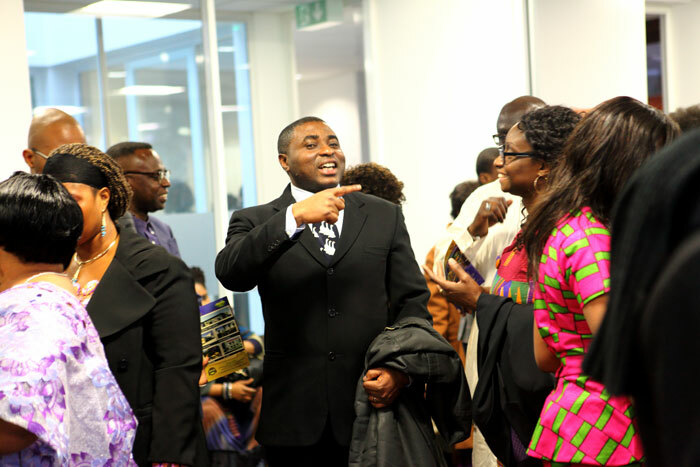 Speaking at the service, Pastor Frank Adu-Gyamfi reminded Ghanaians that through righteousness, Ghana will be exalted. 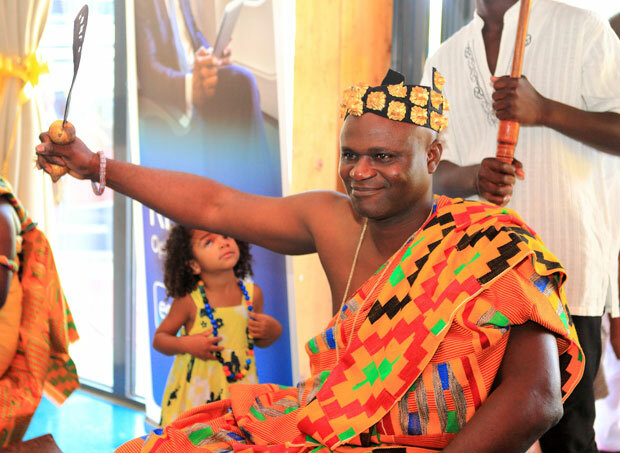 He defined righteousness as the quality of being morally right and urged all Ghanaians to aspire to do the right thing. 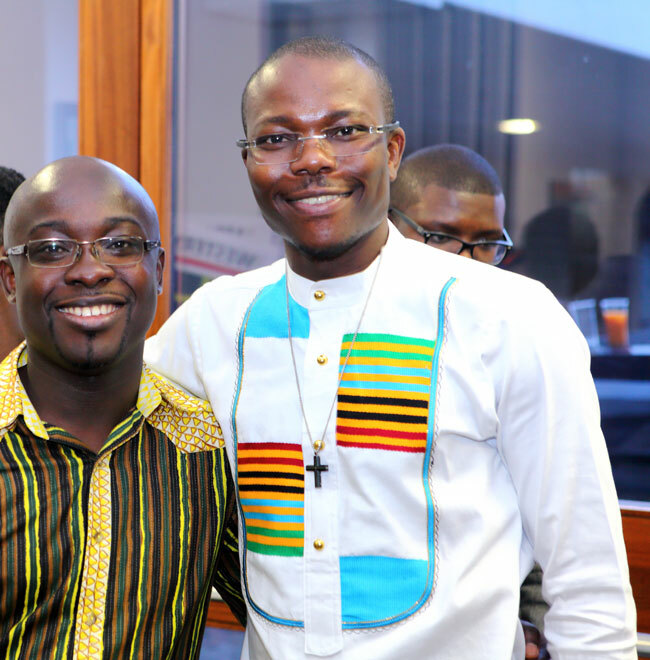 He stated that sin is inevitable but one does not have to remain in sin. 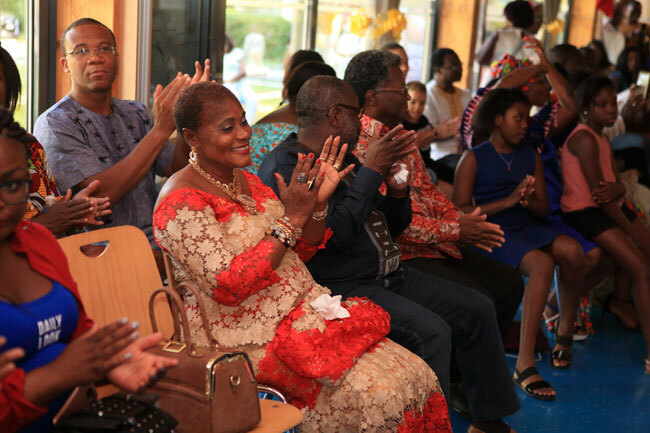 In his conclusion, Pastor Adu-Gyamfi encouraged all Ghanaians to renew their minds and do the right thing and contribute towards making Ghana a much better place. 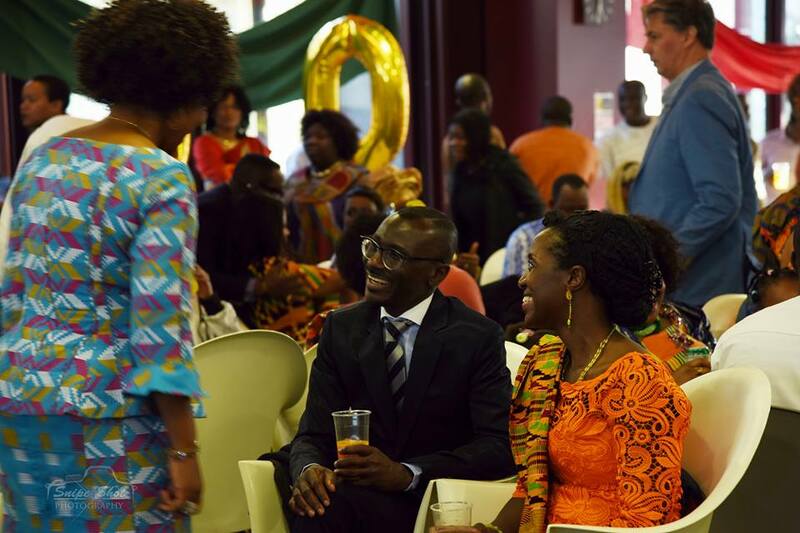 A reception was held soon after the Ghana@60 Inter-denominational Church service to celebrate 60 years of Independence. 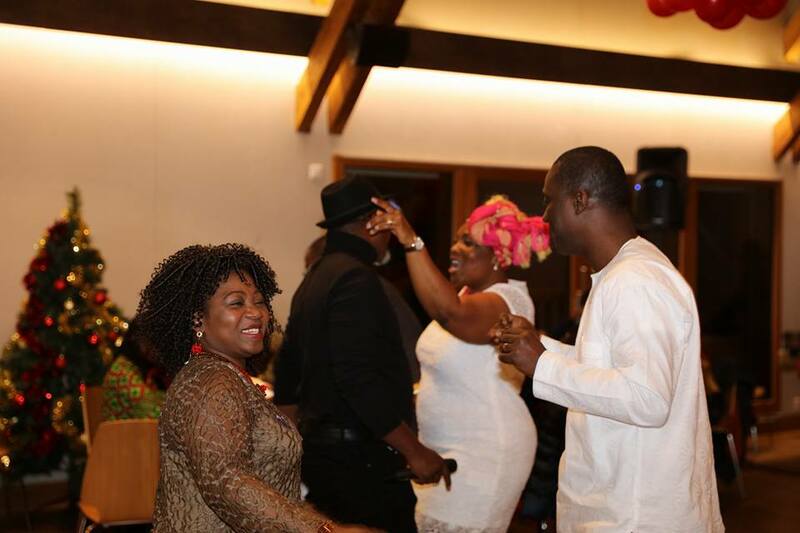 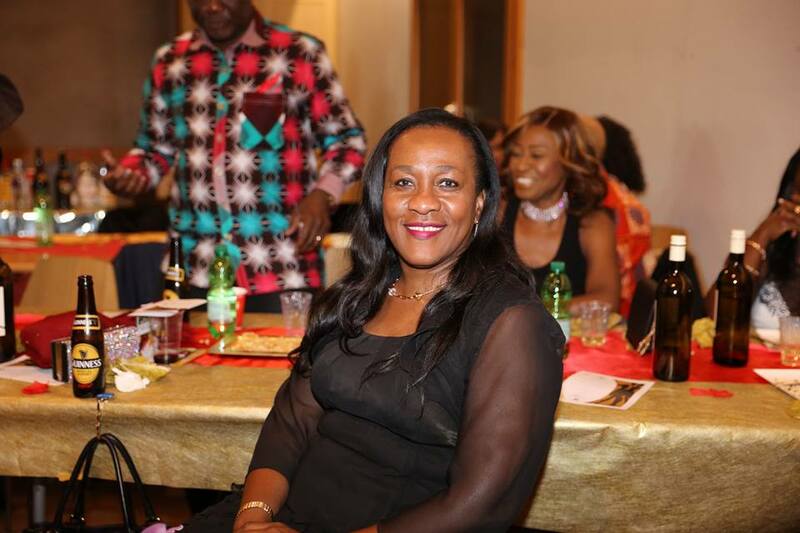 It was attended by Ghanaians in Geneva and its environs, friends of Ghana and members of the diplomatic corps. 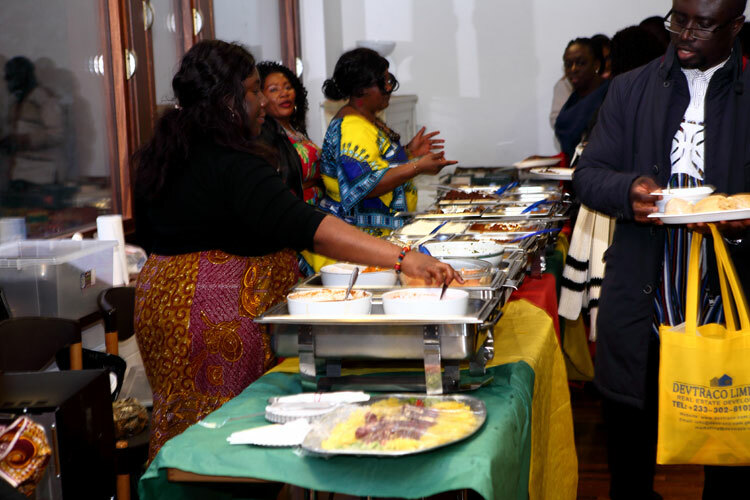 The reception offered Ghanaians an opportunity to listen to short inspiring messages on Ghana, enjoy Ghanaian dishes (food), dance to Ghanaian cultural music and be entertained by the African choir. 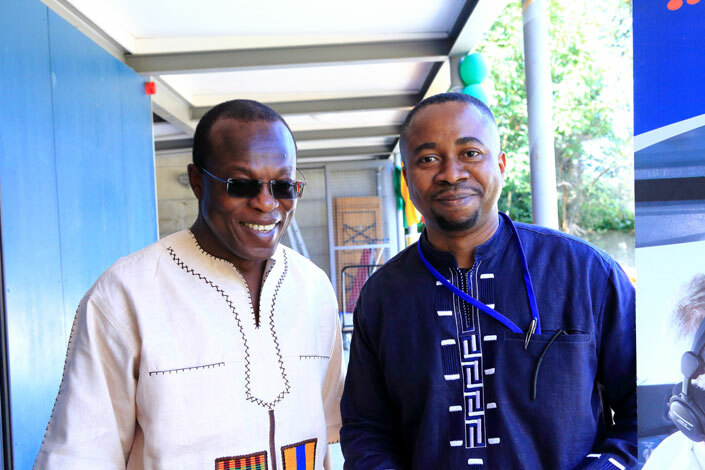 The Guest of Honour at the reception was His Excellency Jean Marie Ehousou, Ambassador and Permanent Representative of the Africa Union (AU) Observer Mission in Geneva. 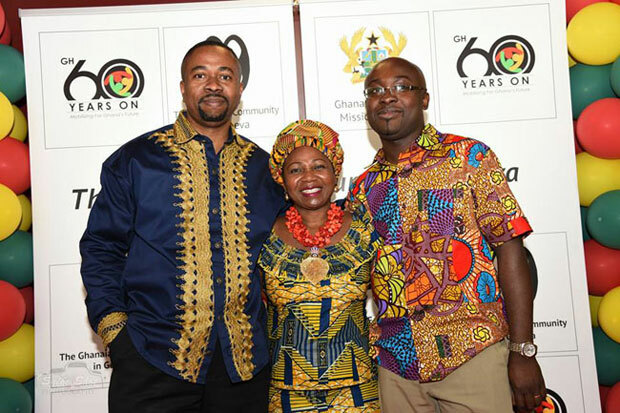 The MC for the event, Mr Jude Osei introduced the Ambassador and Permanent Mission Representative of Ghana, Ambassador Sammie Eddico who, after the welcome address by Dr Gayi, narrated the history of Ghana since independence 60 years ago and recounted the different political experiments the nation had been through. 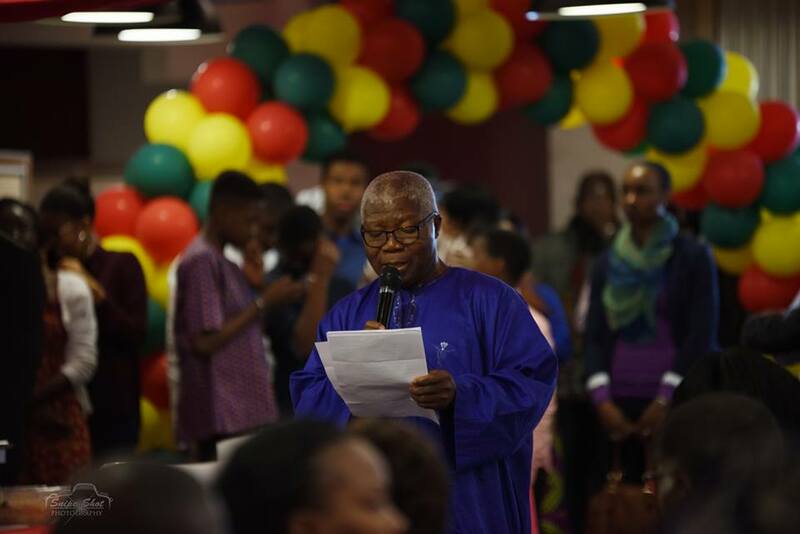 He thanked God for the progress made but reminded Ghanaians that there was still a lot more to do. 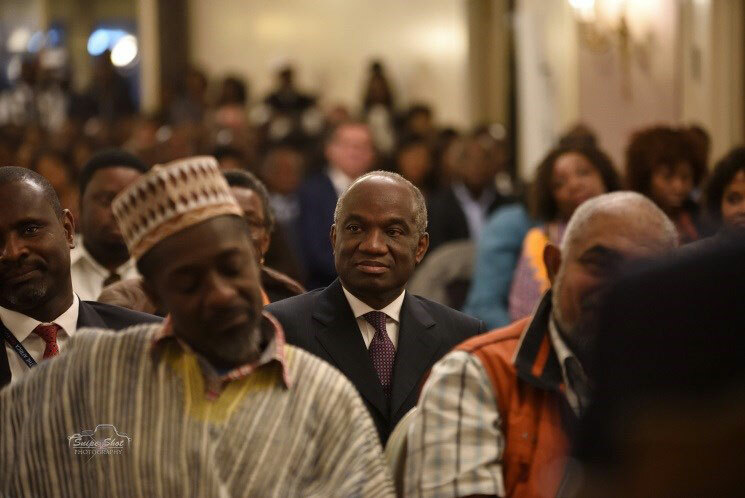 He outlined the policies and programmes of the new Government and emphasized the diaspora engagement agenda. 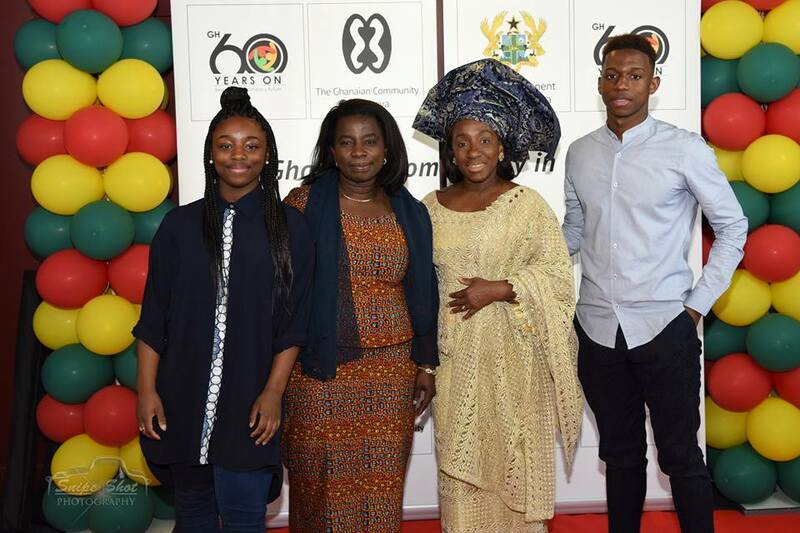 He informed Ghanaians of the Diaspora Homecoming Summit scheduled for 5th â€“ 8th July 2017 in Accra and encouraged as many Ghanaians as possible to attend. 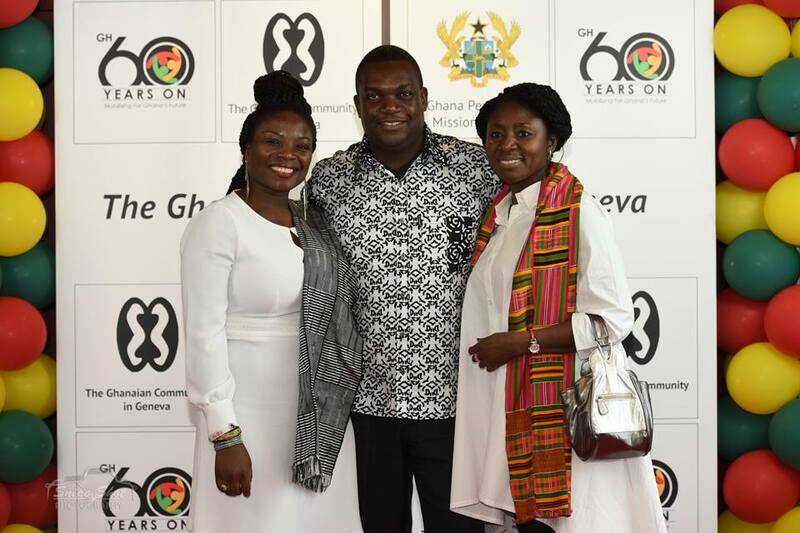 In his concluding remarks, Ambassador Sammie Eddico informed Ghanaians that his tenure as Ambassador was over and he would be leaving Geneva soon. 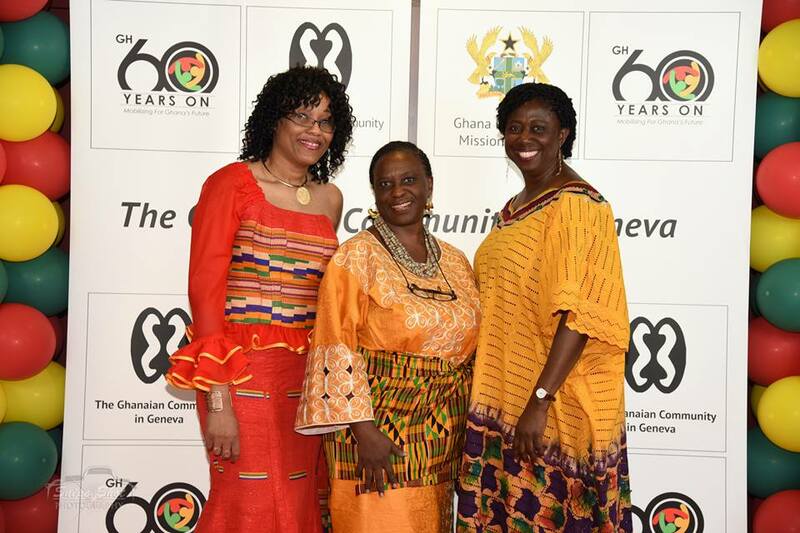 Dr Mercy Ahun spoke on the theme â€œreflections on Ghanaâ€ and argued that the celebration presented Ghanaians with an opportunity to reset the button on our socio-economic development. 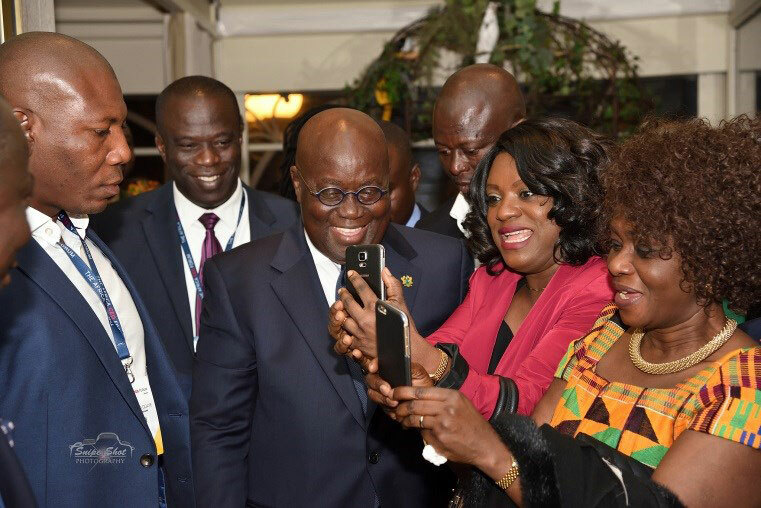 She noted that President Nana Addo Dankwa Akufo-Addo in his Ghana@60 speech stated that â€œlet us mobilize for a happy and prosperous Ghana of tomorrow in which all of us have equal opportunities to realize our potential and build lives of dignity. 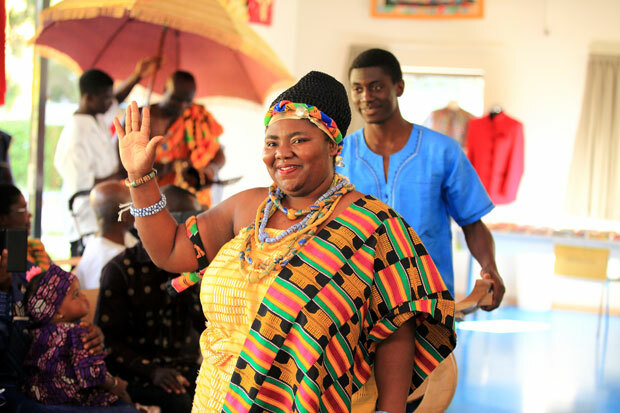 She concluded by urging Ghanaians to continue persevering to make our nation a better place. 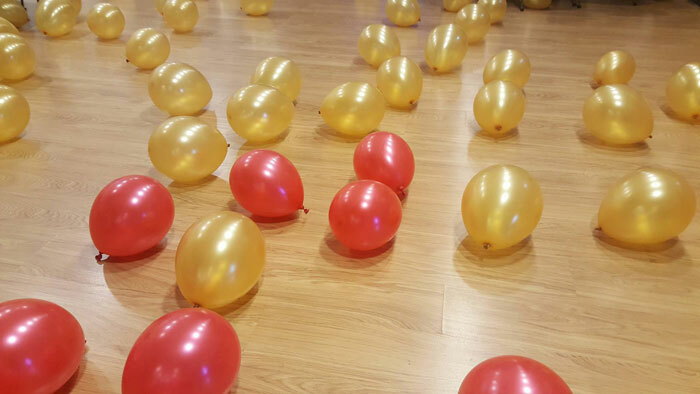 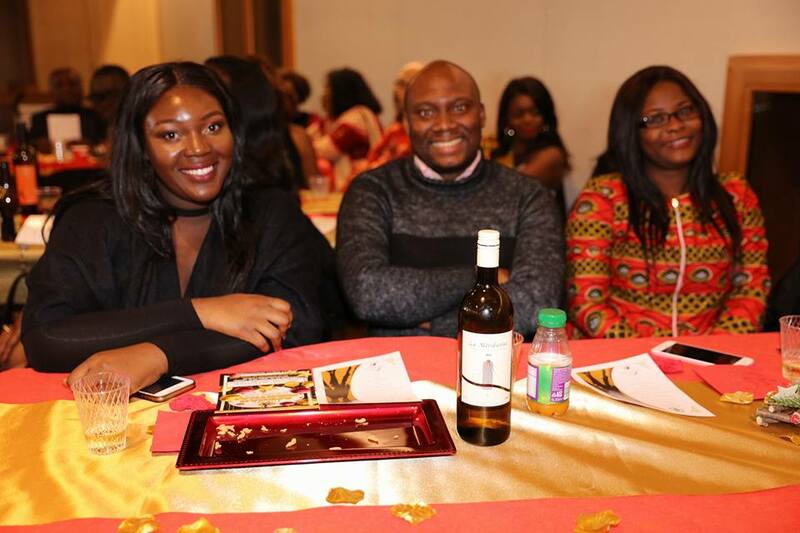 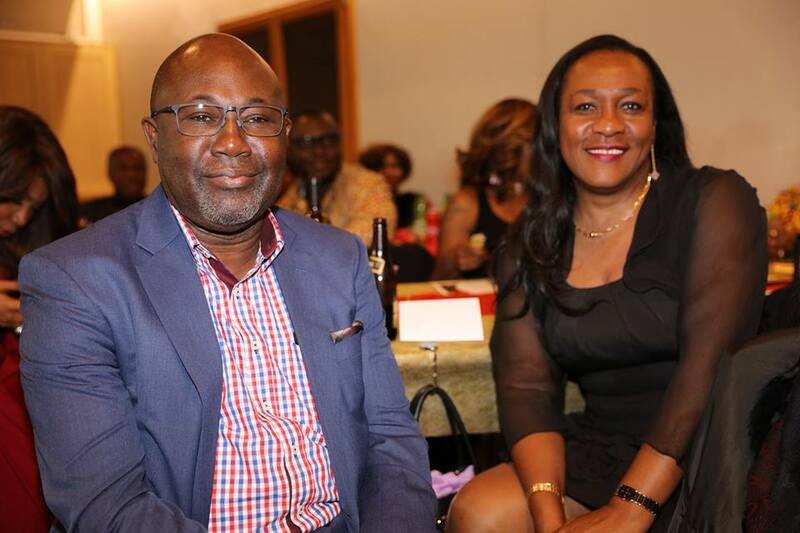 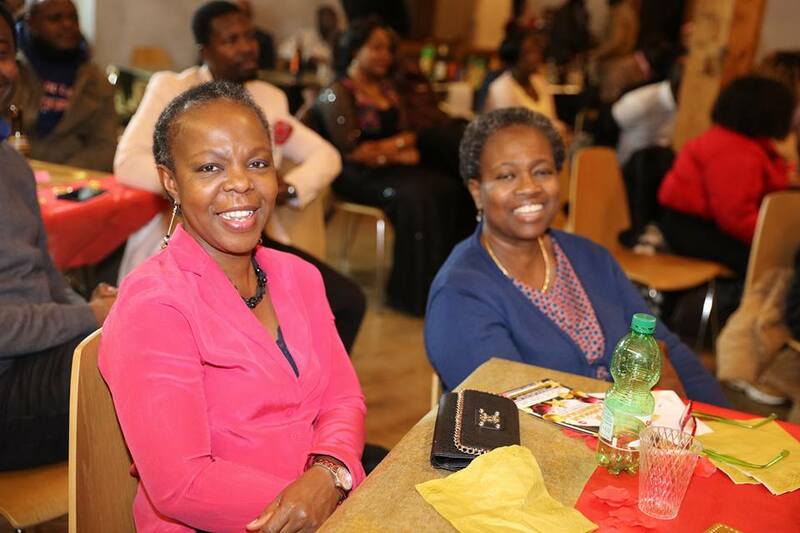 The GCG held its end-of 2016 dinner, dance, and fund-raising party. 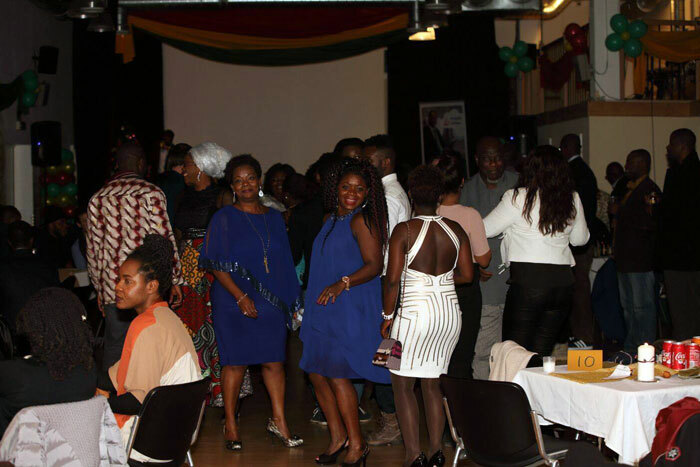 The objective of this event was to welcome all Ghanaians in Switzerland and its environs with a goal to fund-raise for upcoming projects. 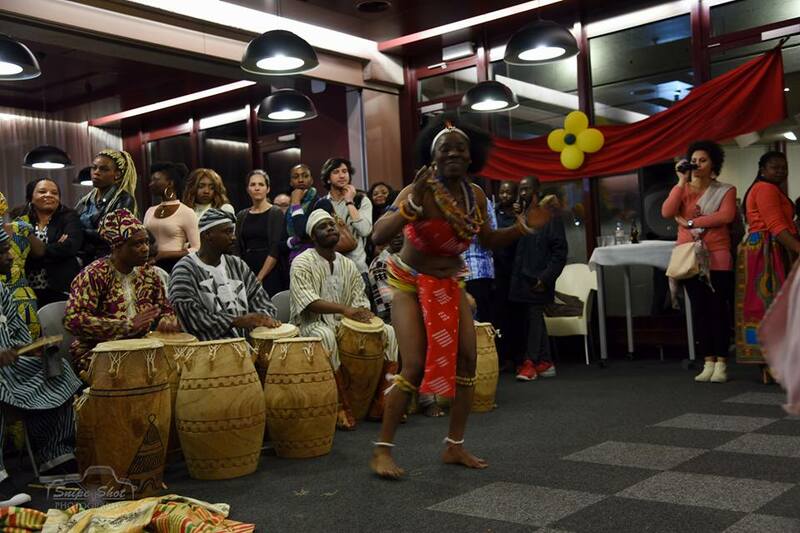 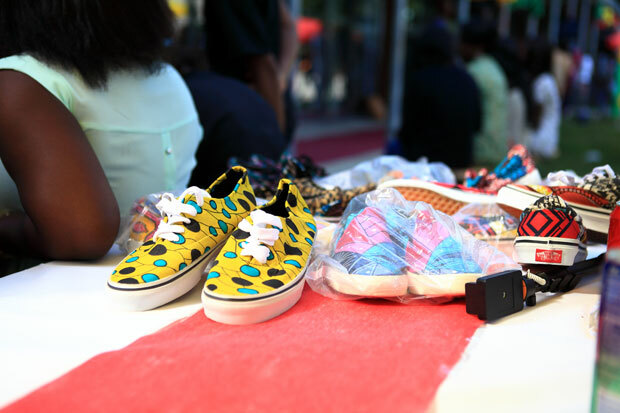 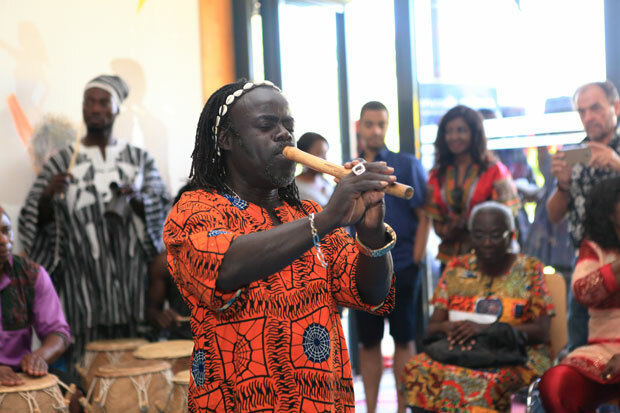 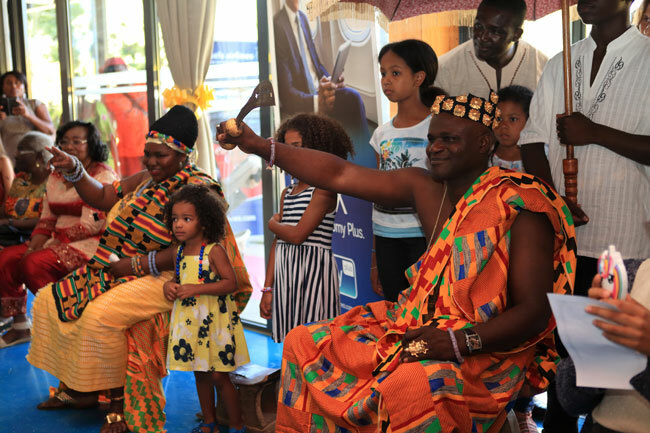 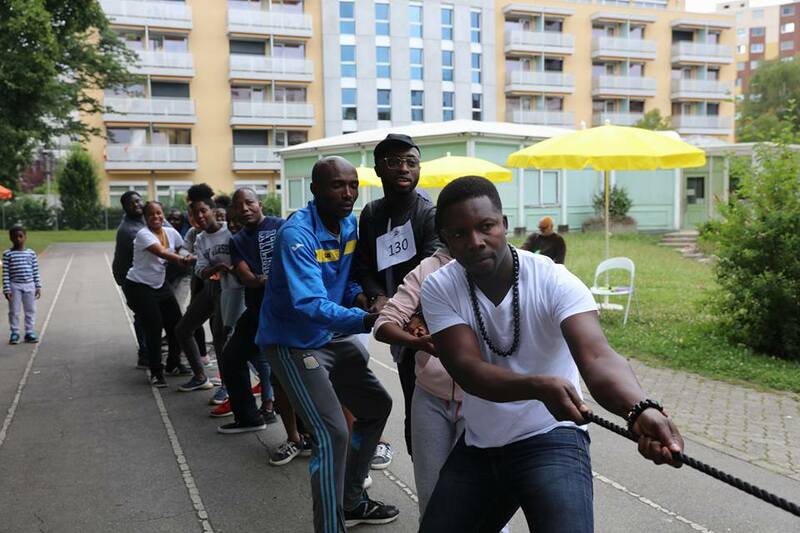 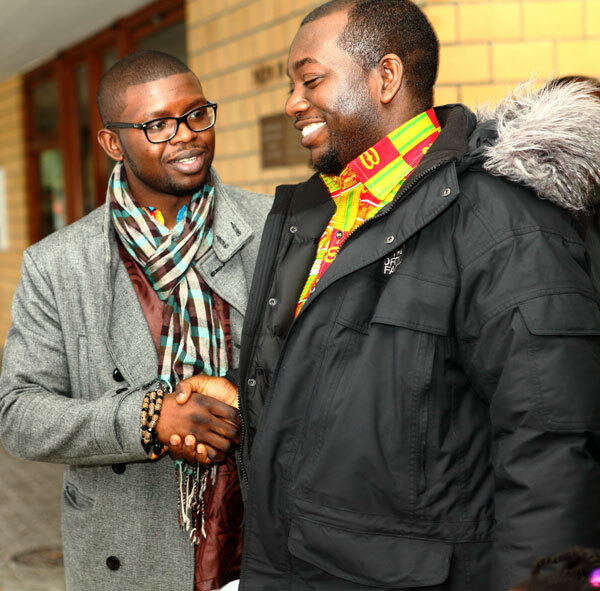 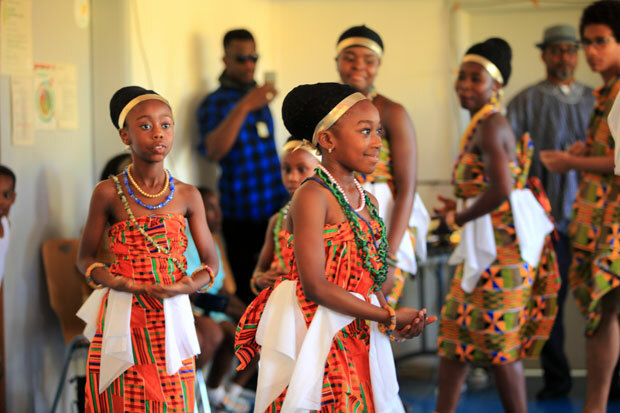 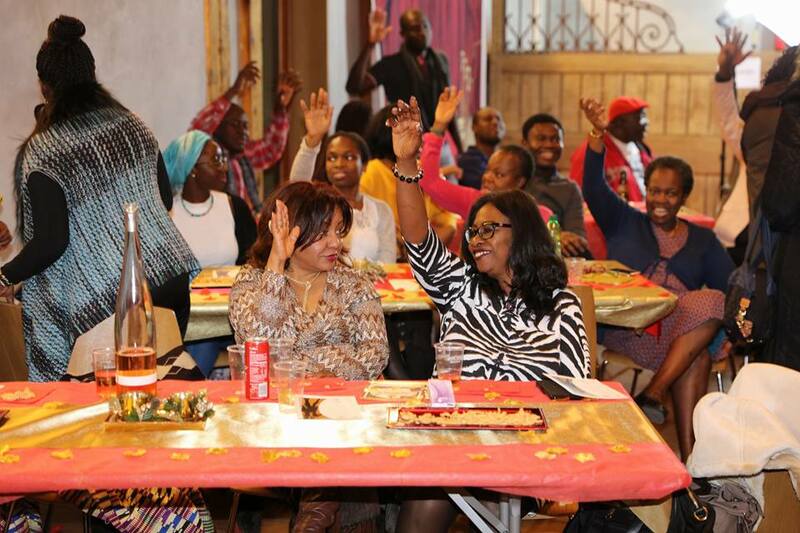 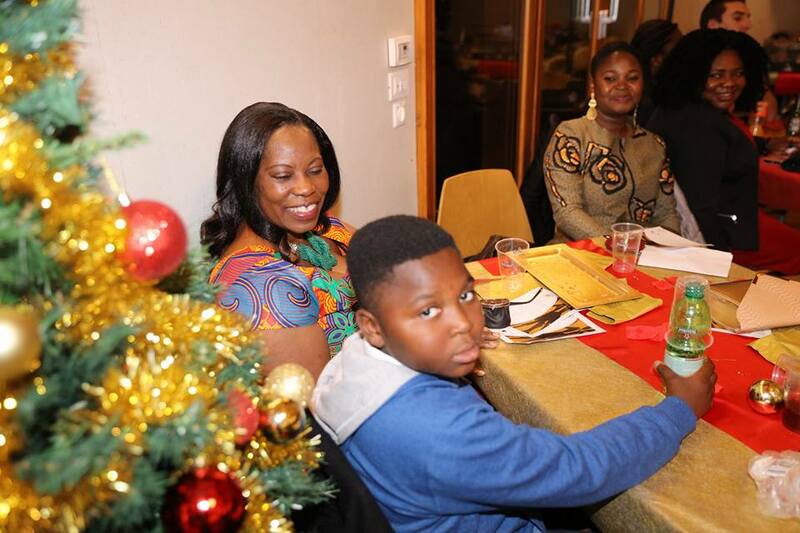 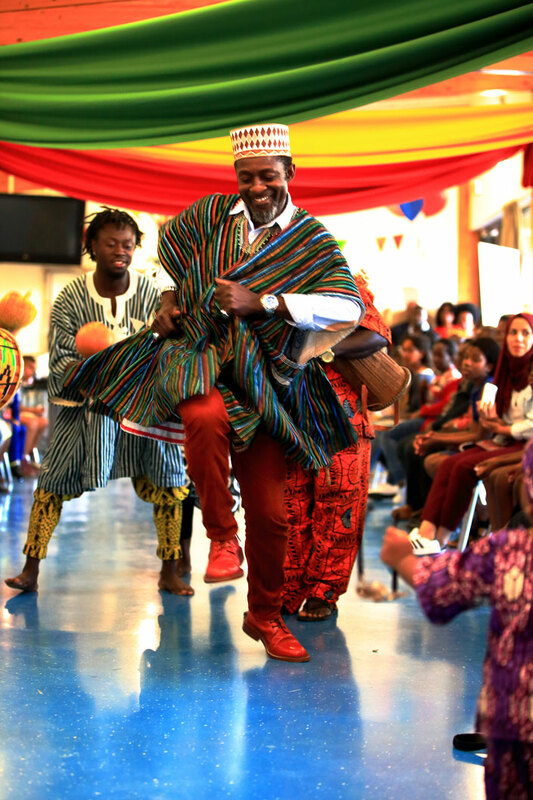 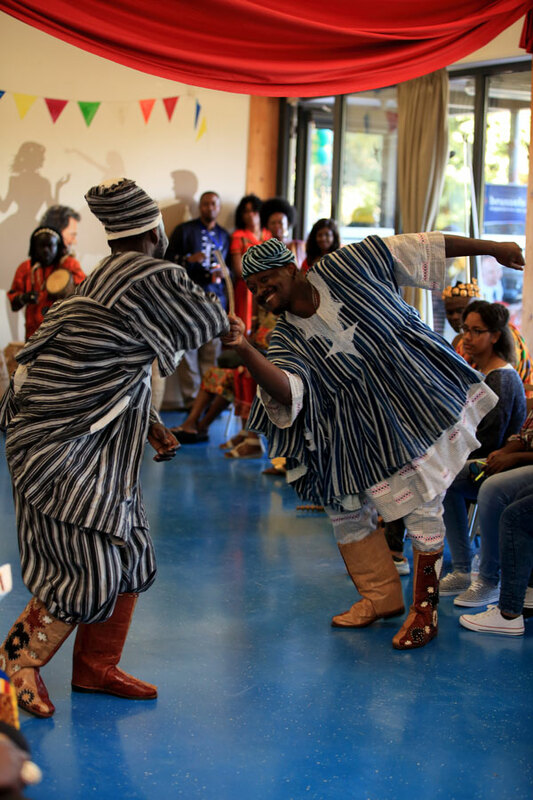 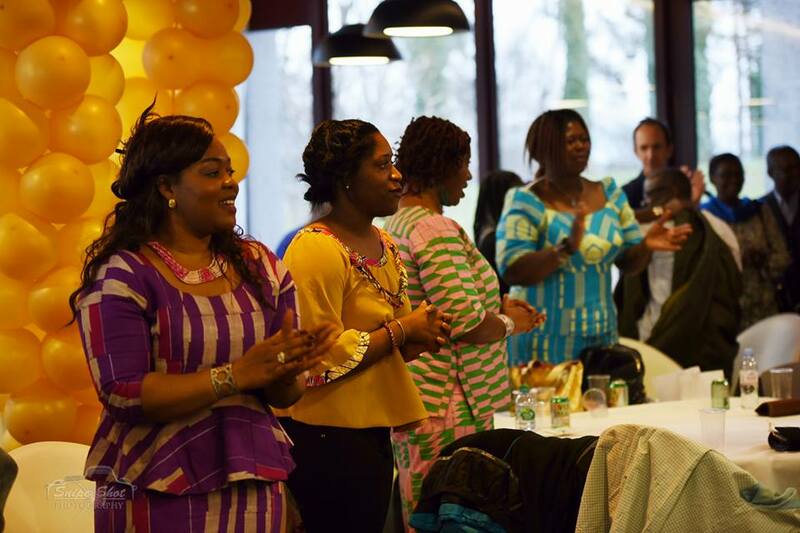 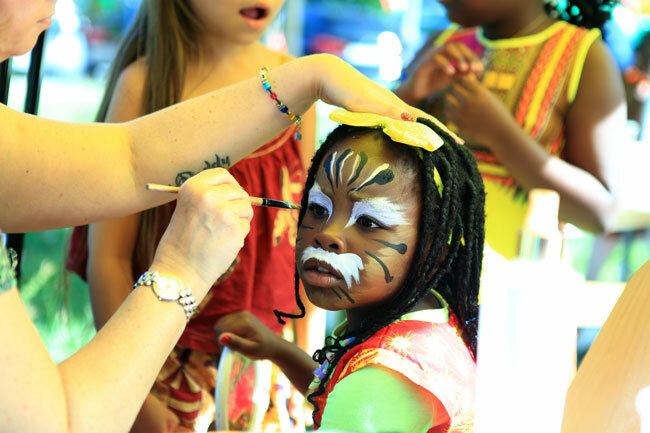 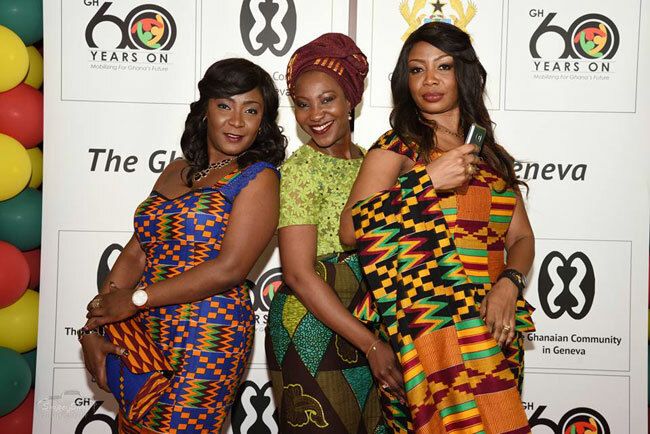 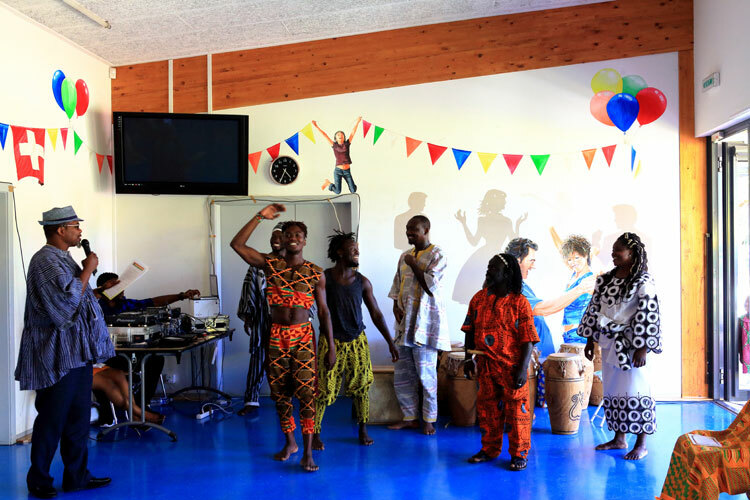 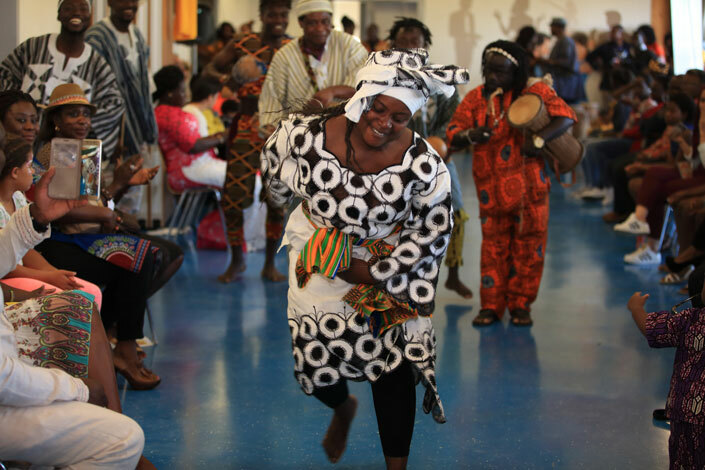 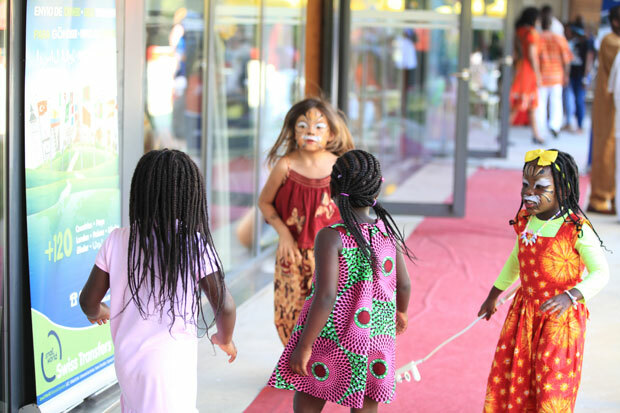 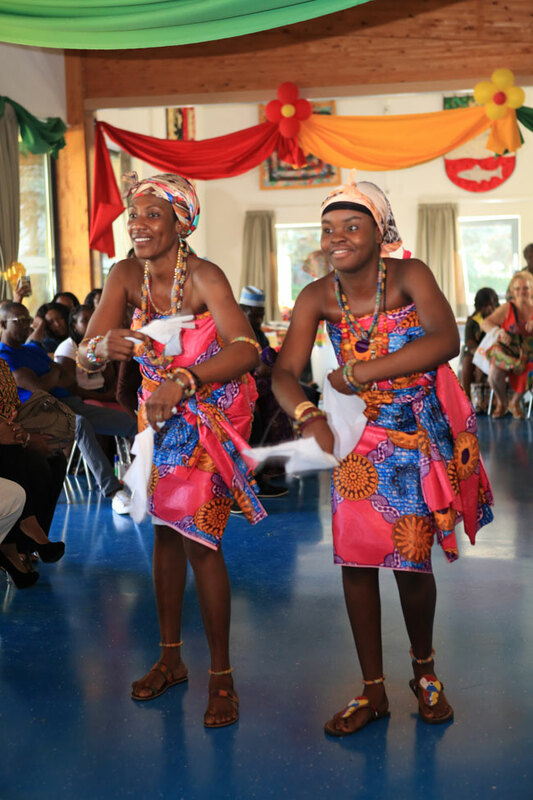 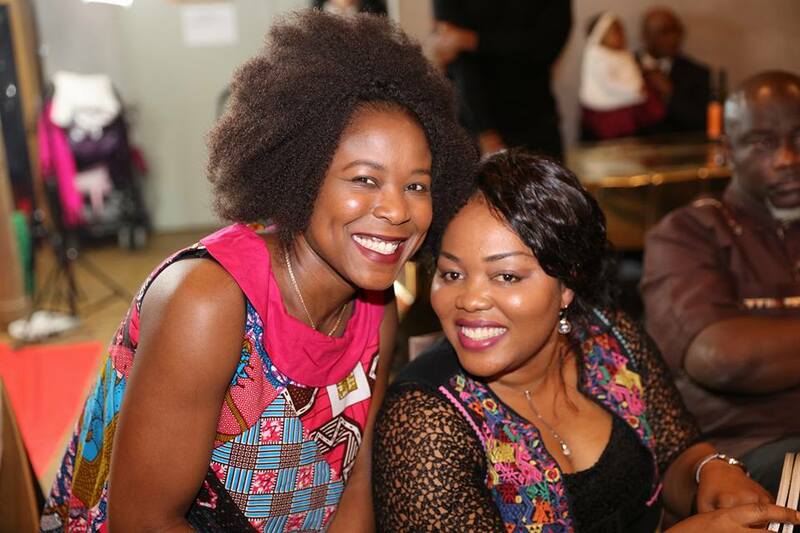 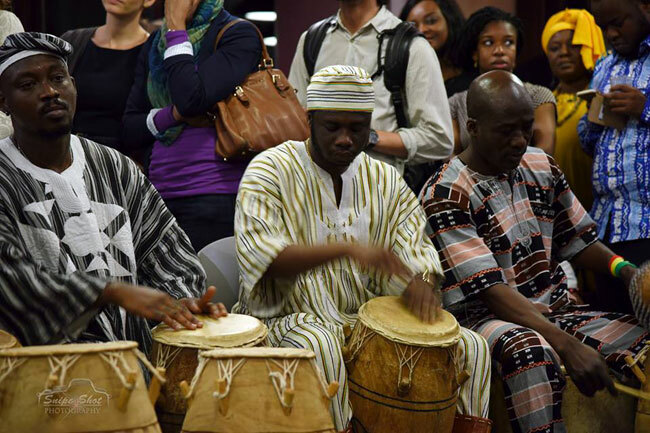 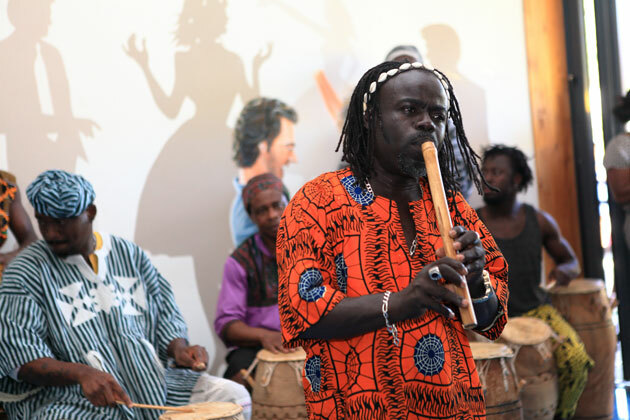 The Ghanaian Community in Geneva organized a cultural day in Geneva to highlight the rick culture of Ghana to the multicultural environment of Geneva. 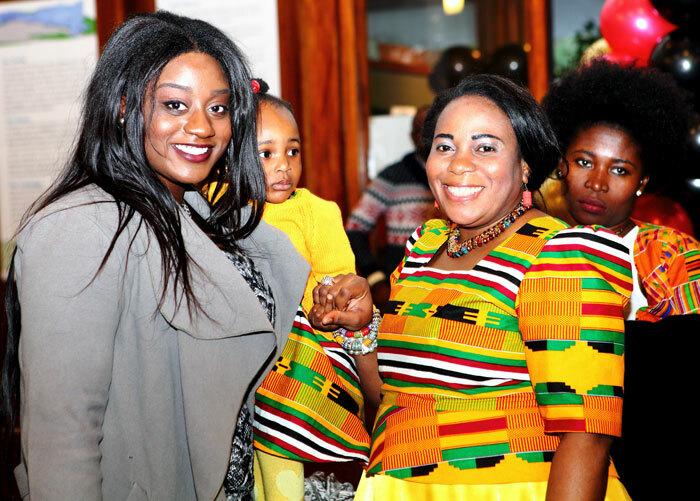 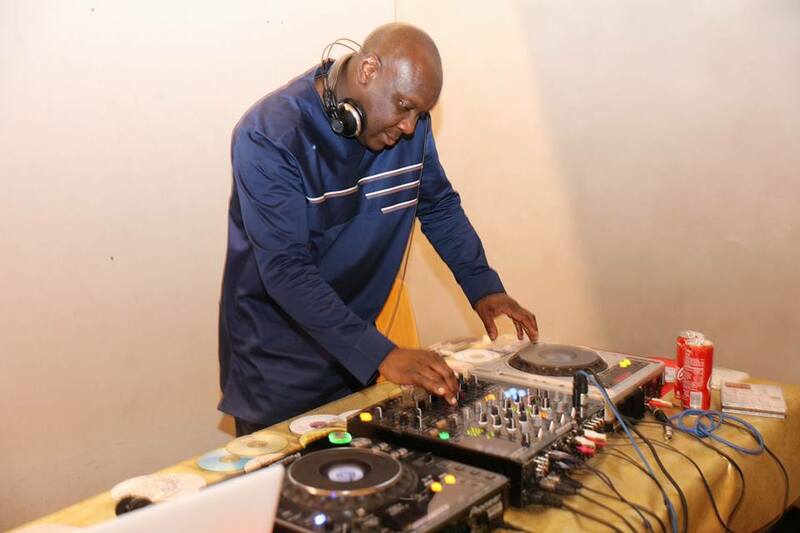 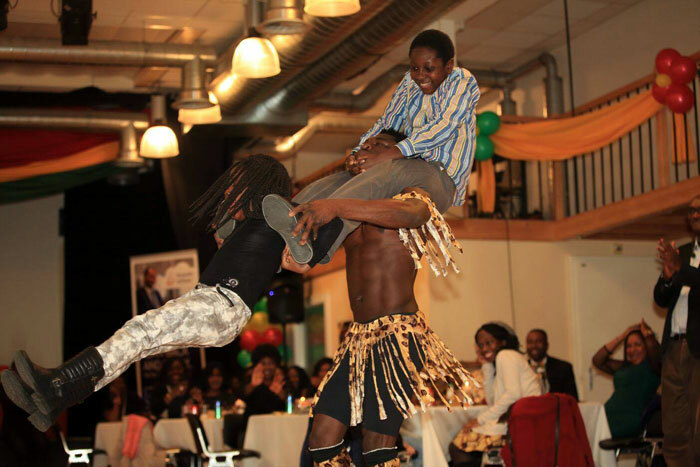 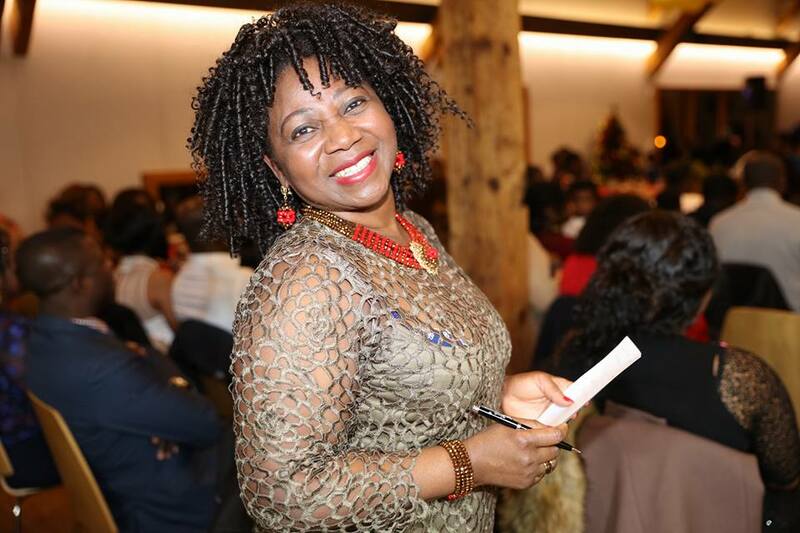 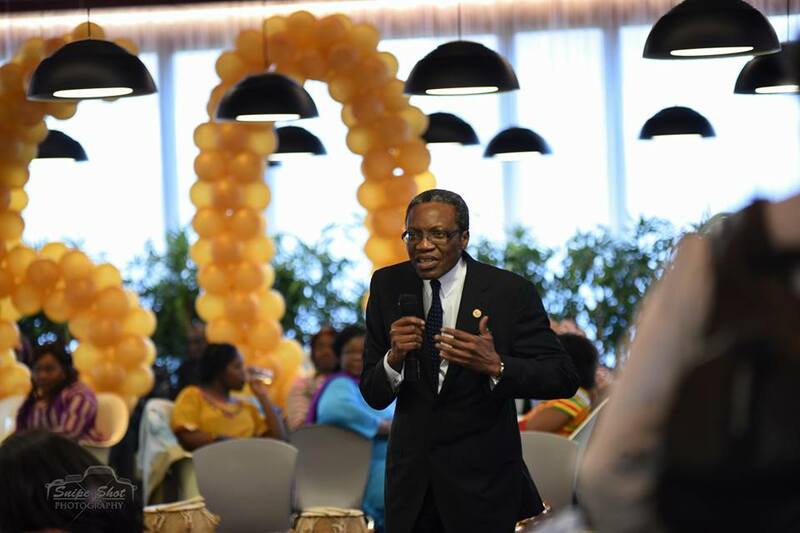 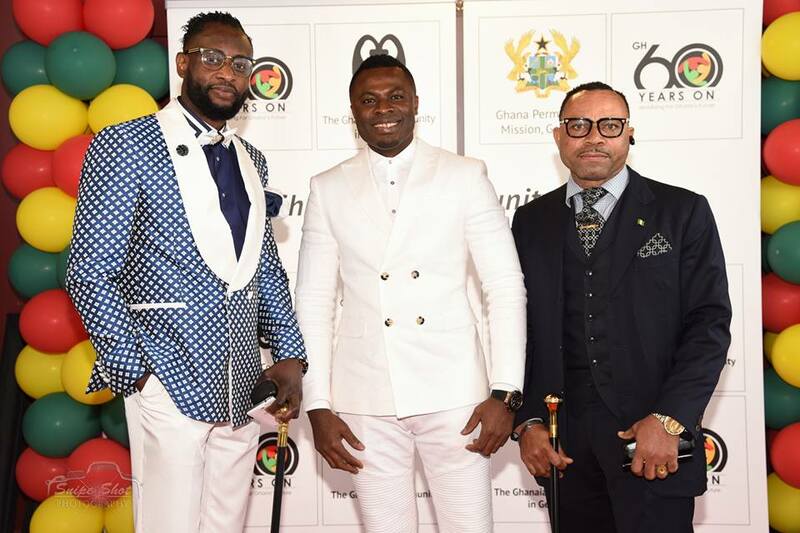 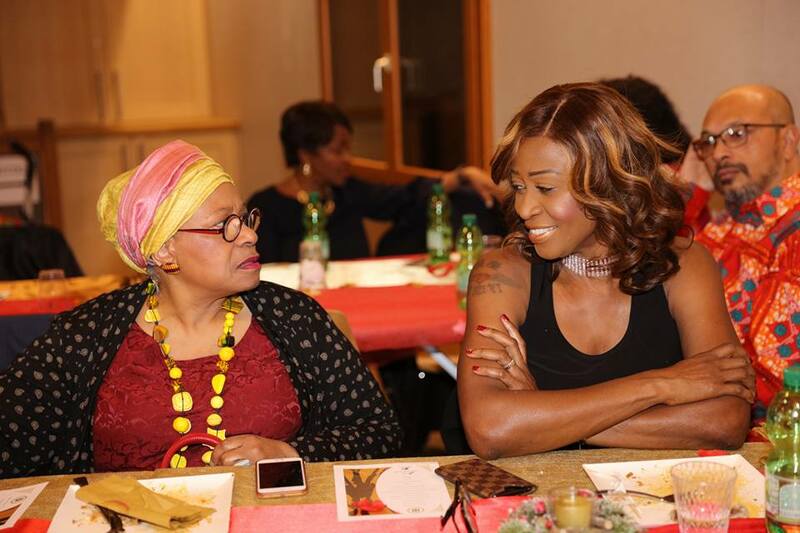 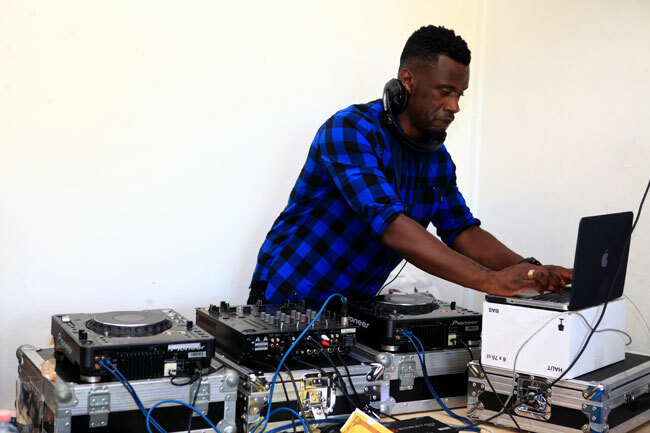 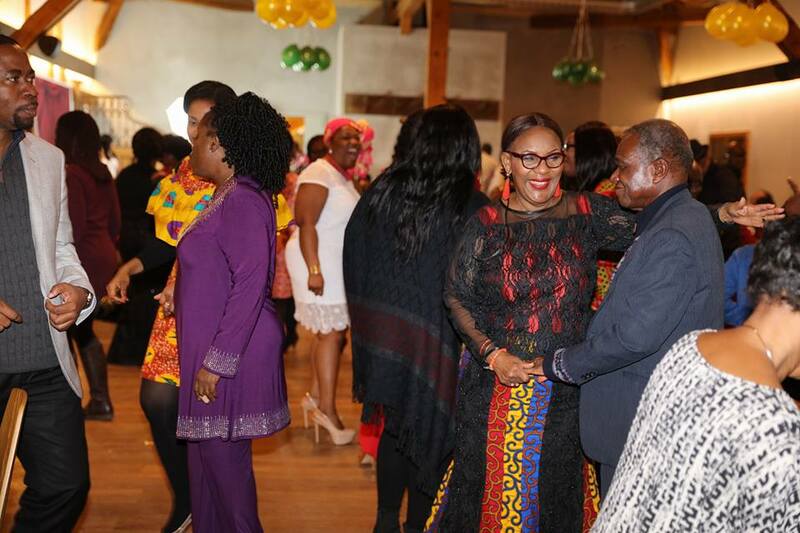 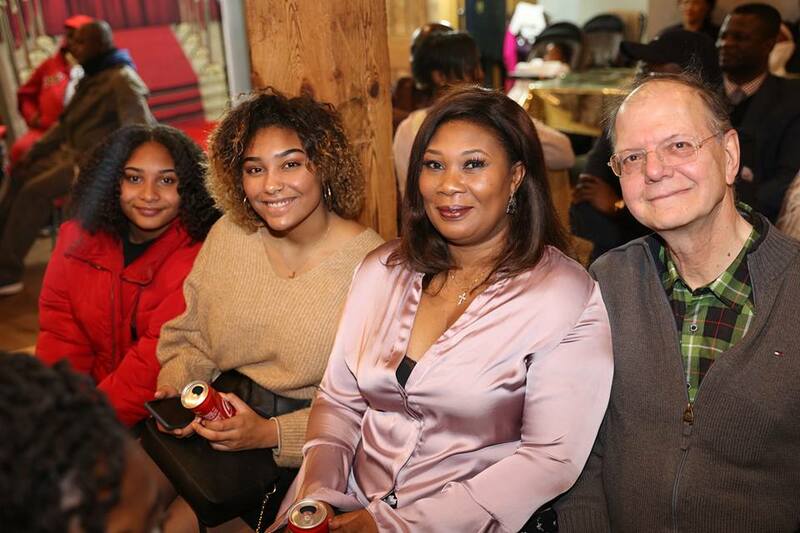 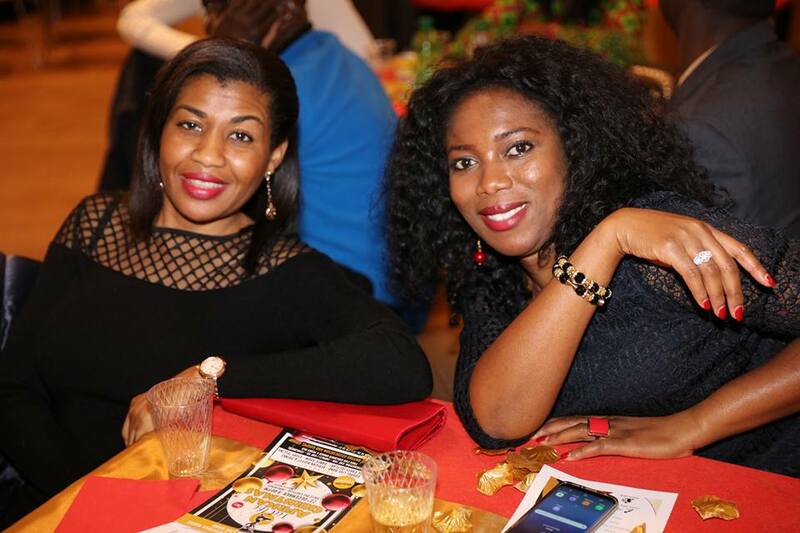 The event showcased Ghanaian food, Ghanaian cultural dance, Ghanaian fashion both from Geneva and Ghana, Ghanaian chieftaincy and Ghanaian hiplife music. 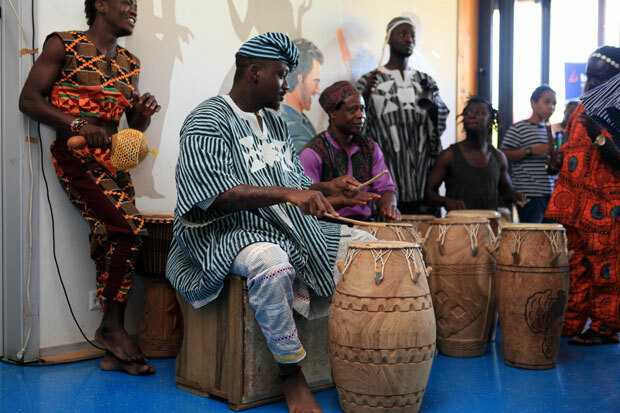 The wings of a dove percussion group from Zurich entertained the audience through cultural dances. 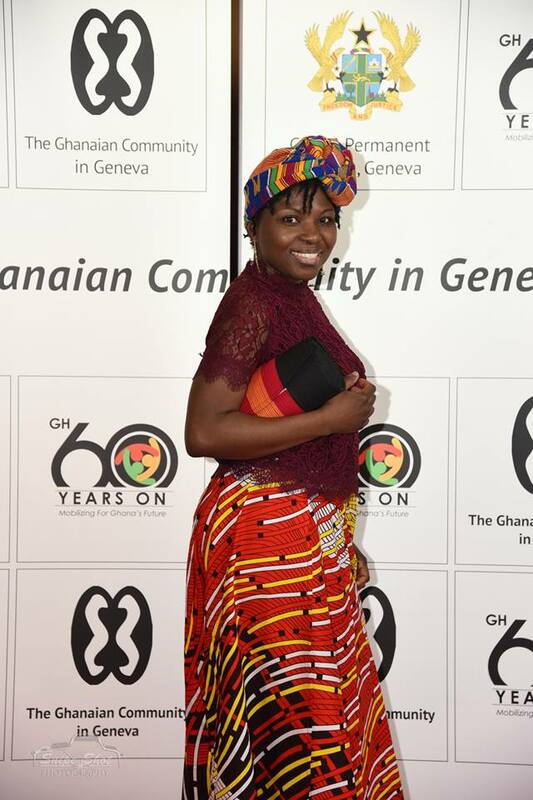 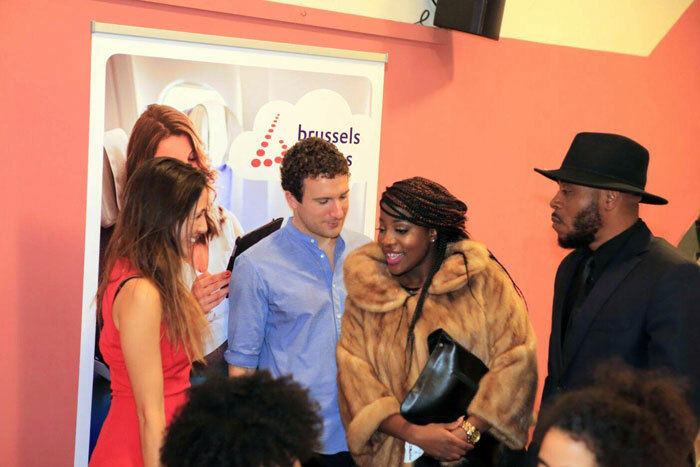 The fashion show featured Floflor Tailors in Geneva, Gameli Clotheirs in Geneva and Pistis Fashion House in Ghana. 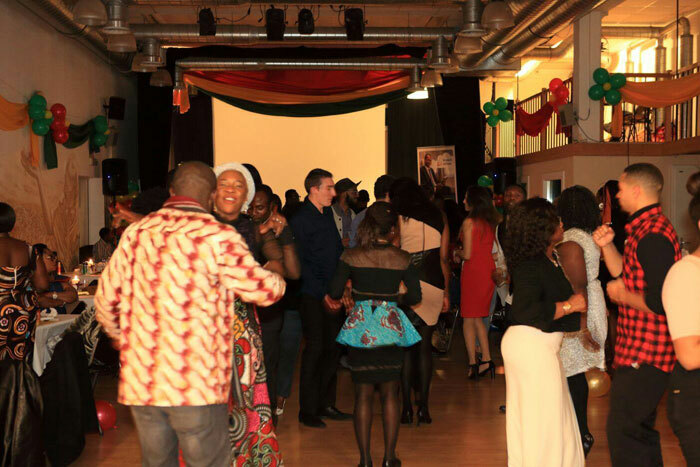 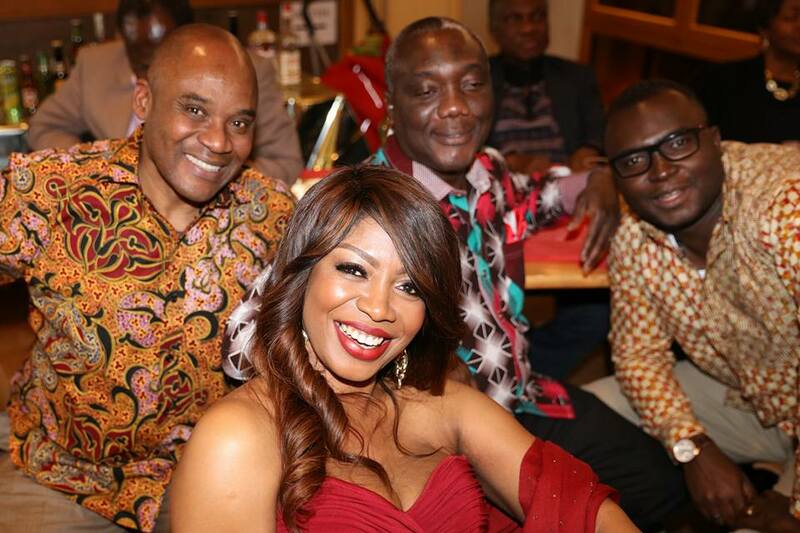 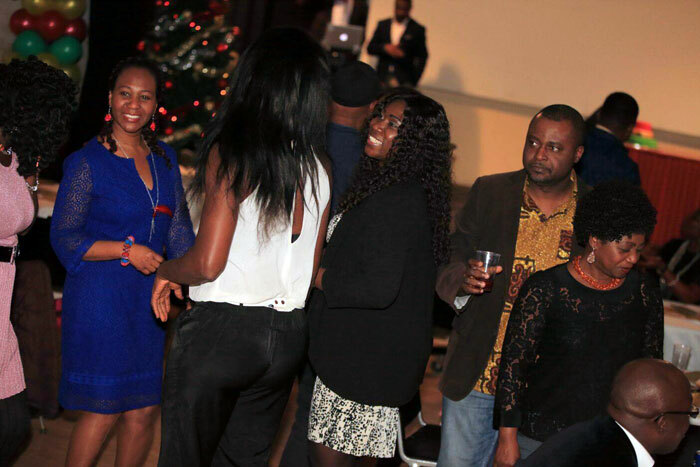 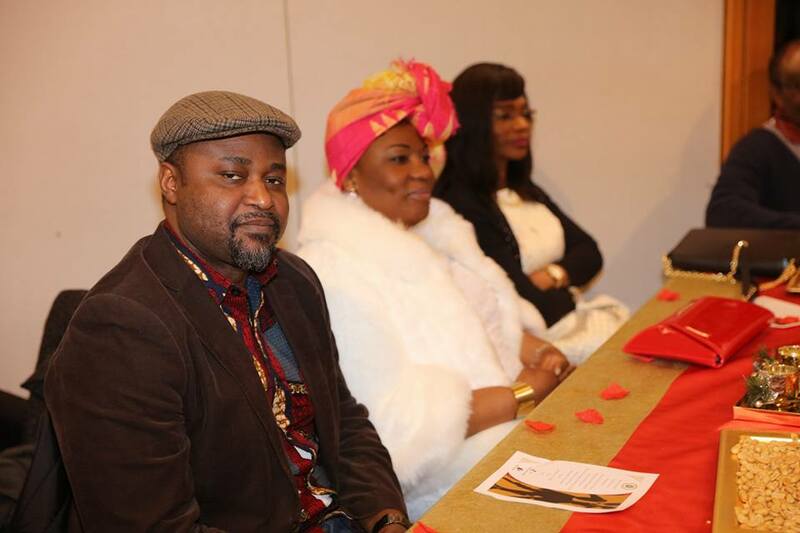 The event was attended by Ghanaians and friends of Ghana from all walks of life and nationalities. 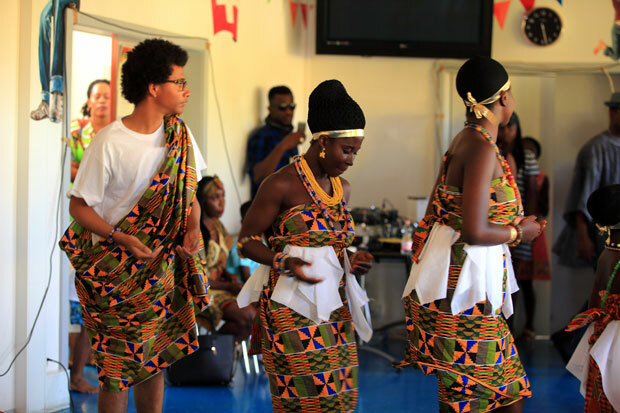 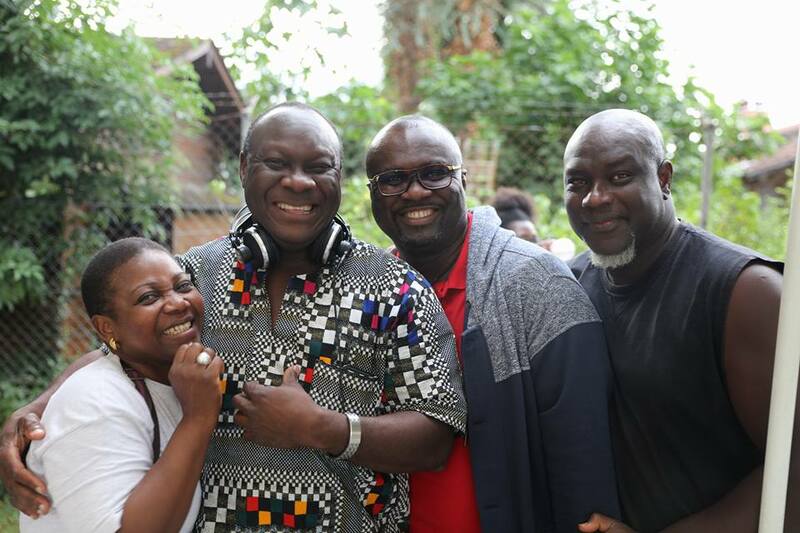 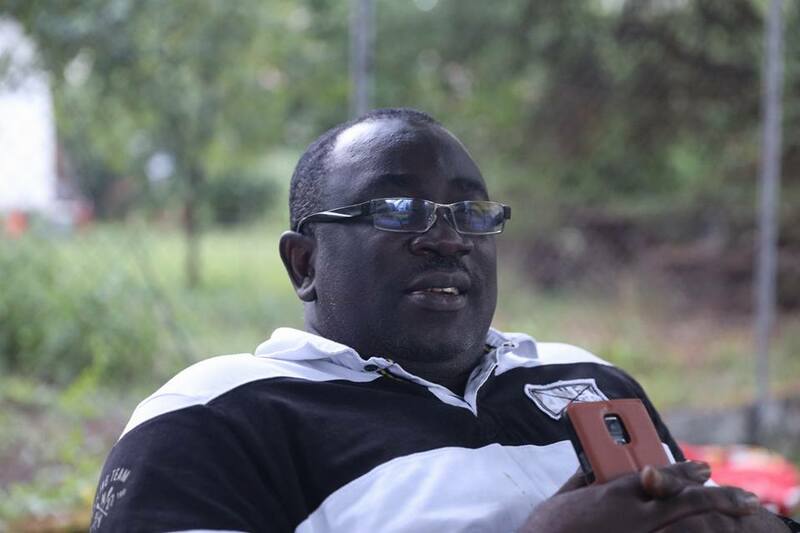 It provided non Ghanaians with an opportunity to experience the rich Ghanaian culture. 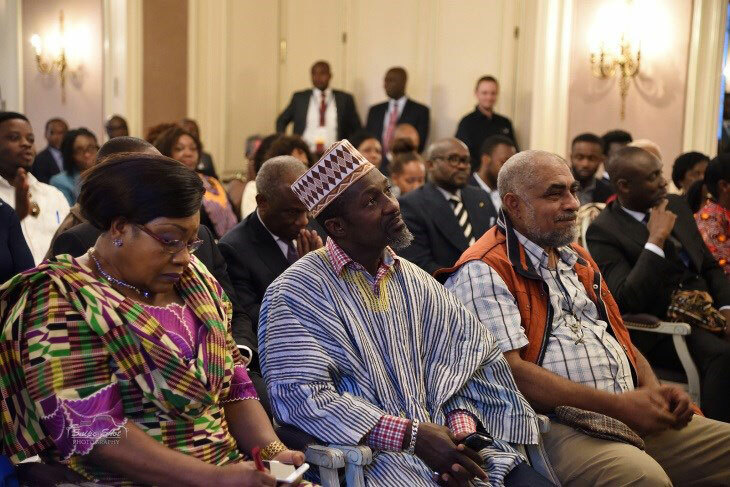 The Ghanaian Community in Geneva convened a General Assembly meeting in line with the dictates of the Constitution. 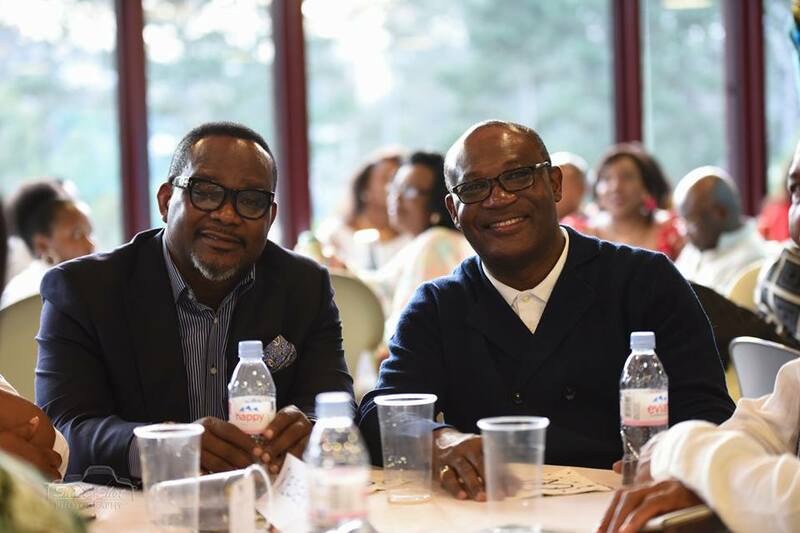 The meeting provided an opportunity for the Executive Committee to discuss the detailed plan of action for the 2-year period. 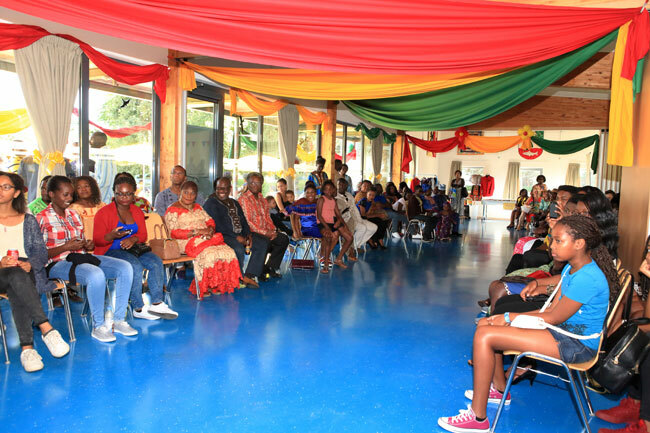 Community members had an opportunity to input into the plan. 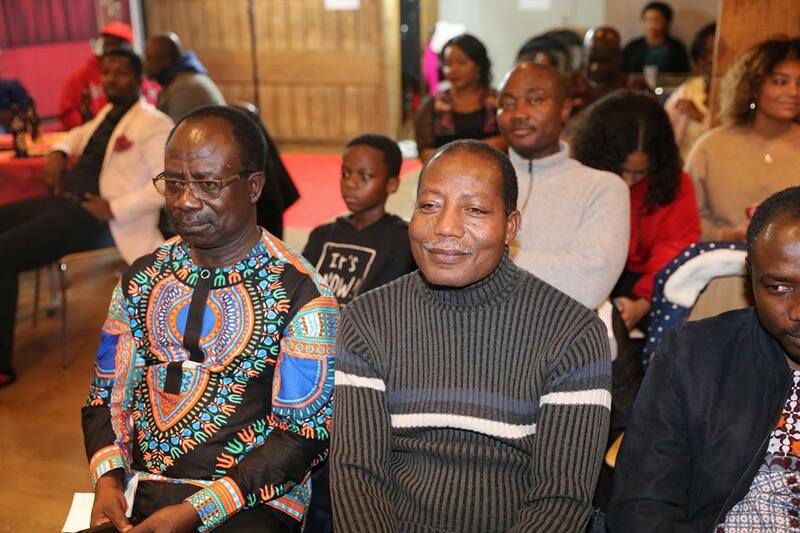 Committees such as the Audit, Vetting and Electoral committees were established during the General Assembly meeting. 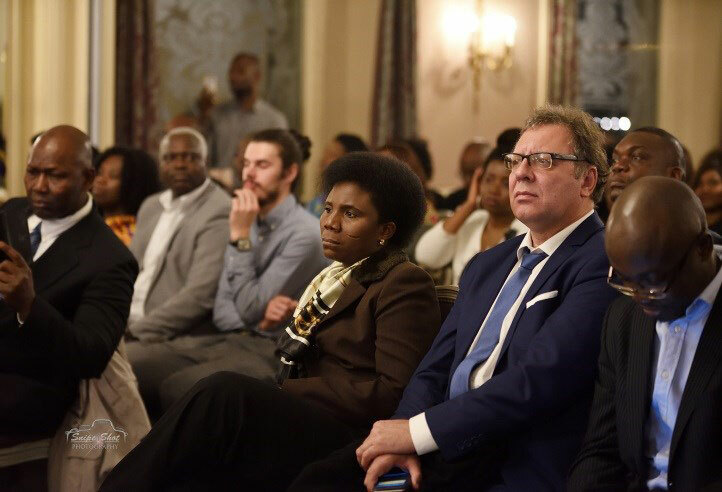 The need to review sections of the Constitution was discussed and a committee was set up to review the finance related aspects of the Constitution. 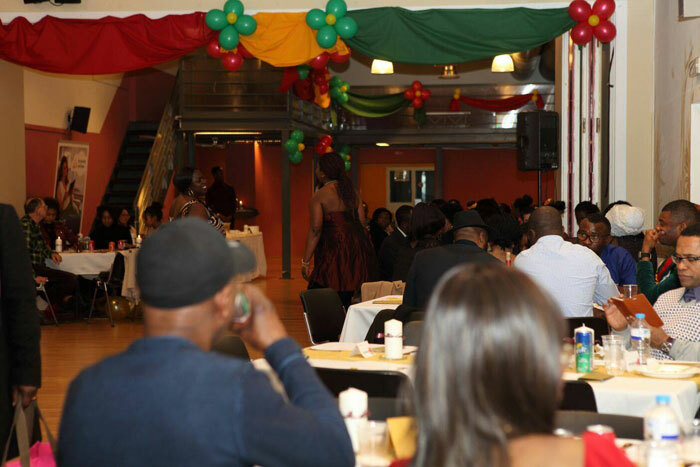 An agreement was reached to pair General Assembly meetings with end of year party events to boost attendance. 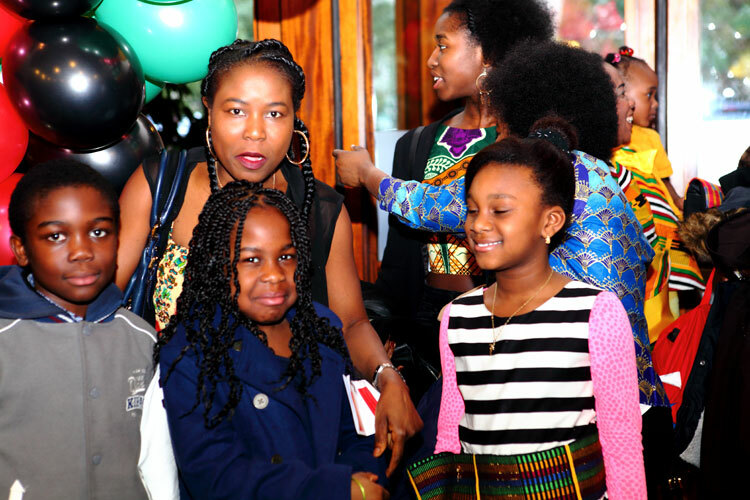 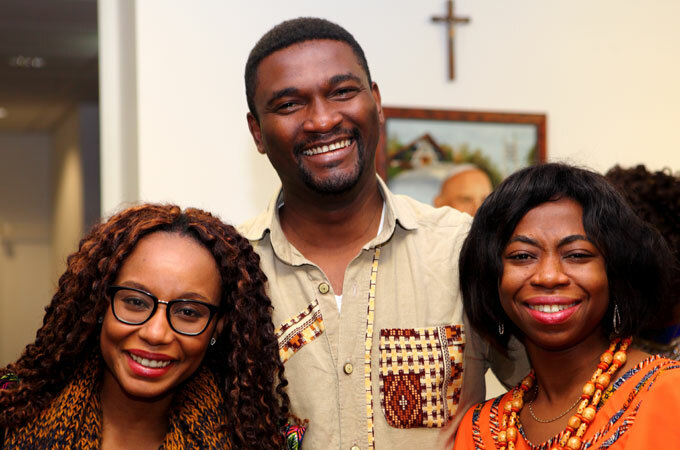 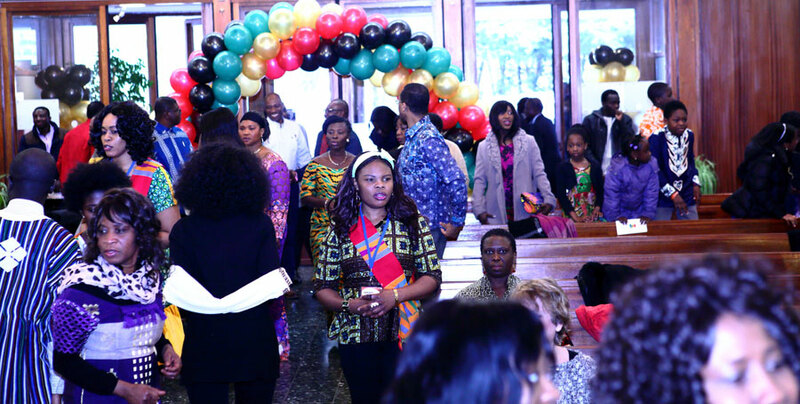 Ghanaians and friends of Ghana from all walks of life gathered at the St. Johns XXIII Parish on 6th March 2016 to celebrate 59 years of Independence. 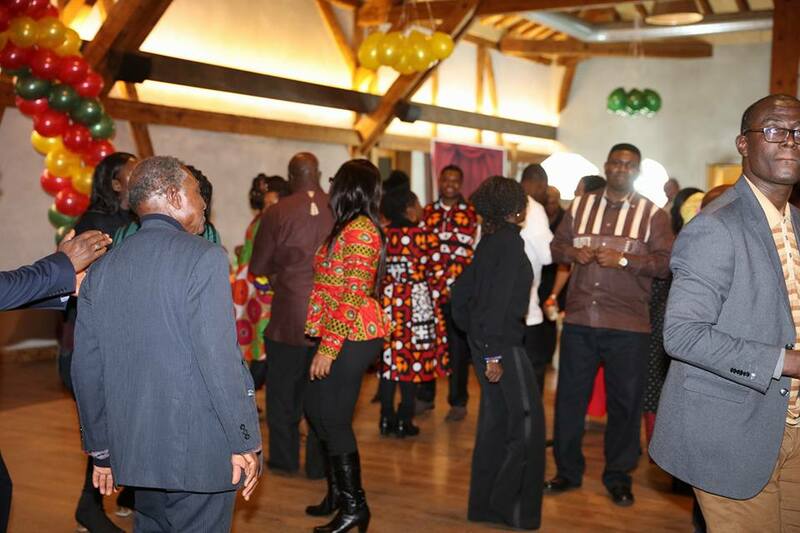 In attendance were the Ambassador of Ghana to Switzerland H.E Mr. Sammie Eddico, Head of the AU H.E. 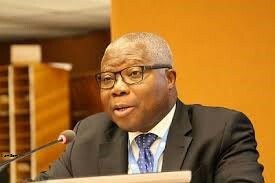 Mr. Jean-Marie Ehouzou, the Ambassador of Uganda to Switzerland H.E. 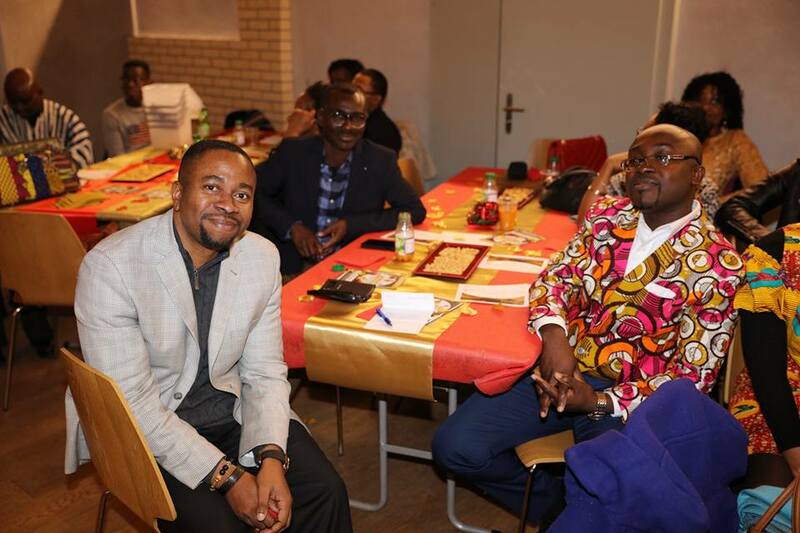 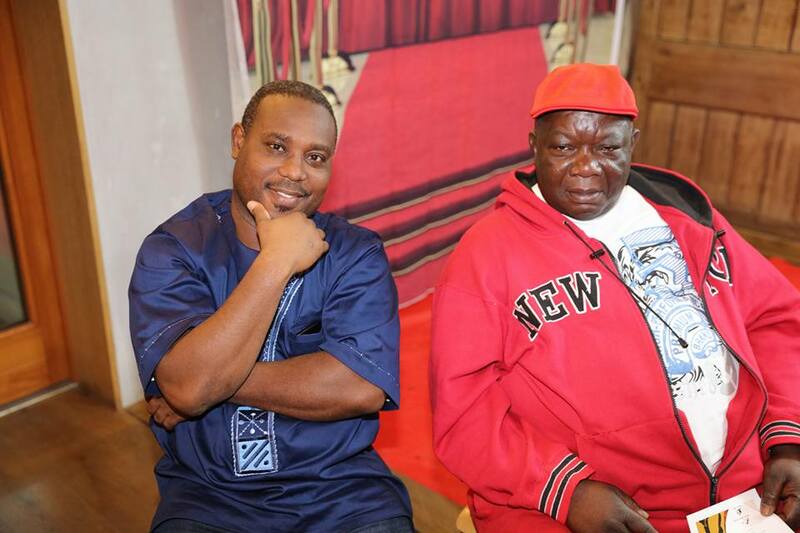 Mr. Christopher Onyanga Aparr and the Chargé d'Affaires of the Togo Mission to Switzerland, Mr. Balom'ma Bedaba. 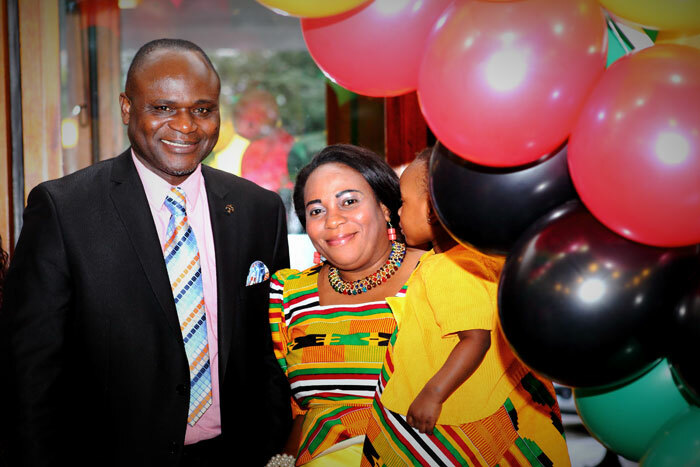 Ghanaians and friends of Ghana (including our children) from the different churches in Geneva and its environs including Temple of Praise, Bethel Prayer Ministry, Lighthouse Chapel Int., Church of Pentecost, Church of the Nations, Church of the Living Saviour, Crossroads Church, etc, gathered to celebrate and thank God for 59 years of independence. 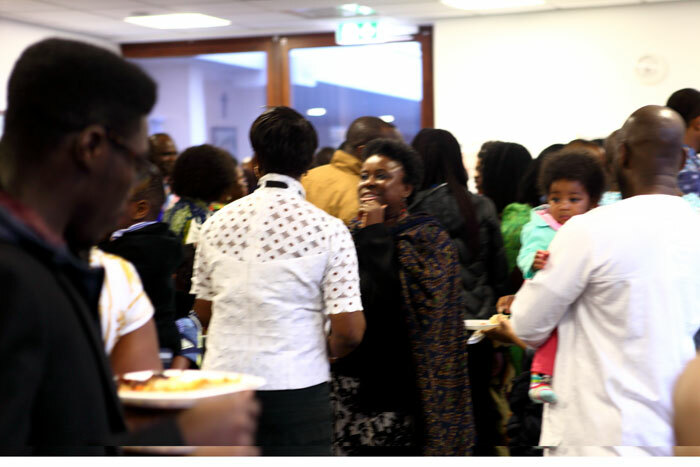 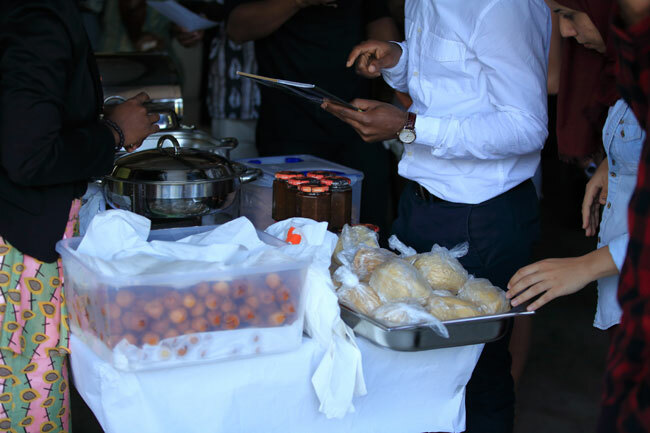 A reception after the church service provided an opportunity for Ghanaians and friends of Ghana to interact while sharing a meal. 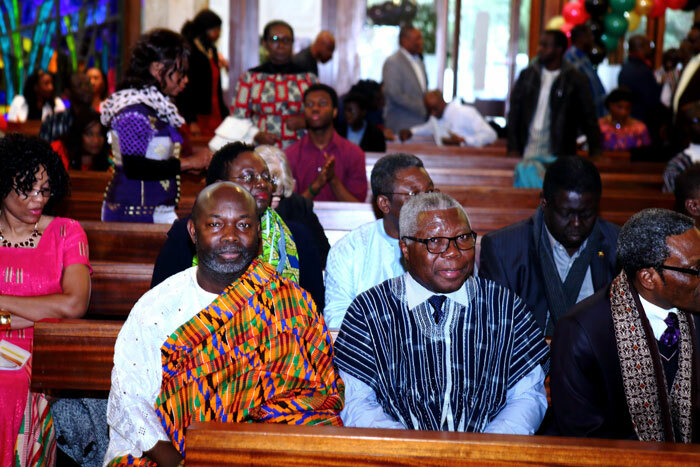 The GCG and the Church Committee wishes to thank all Ghanaians and friends of Ghana who attended the church service. 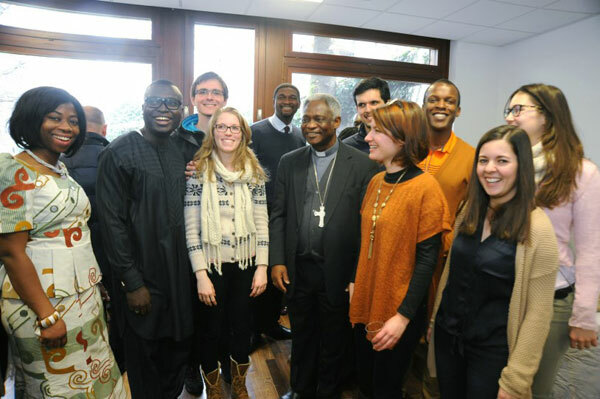 His Eminence Cardinal Peter Turkson, President, Pontifical Council for Justice & Peace paid a 3-day working visit to Geneva and was Guest Speaker at the “Caring For Our Common Home” Conference. 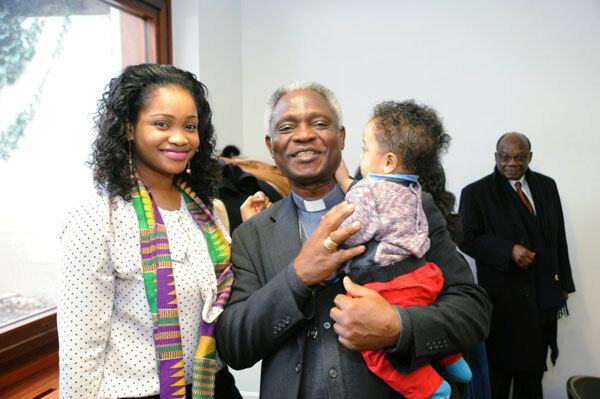 Cardinal Turkson also celebrated mass at the Saint John XXIII Parish, Rue de Montbrillant 57 on Sunday 17th January 2016, where a reception was held in his honour. 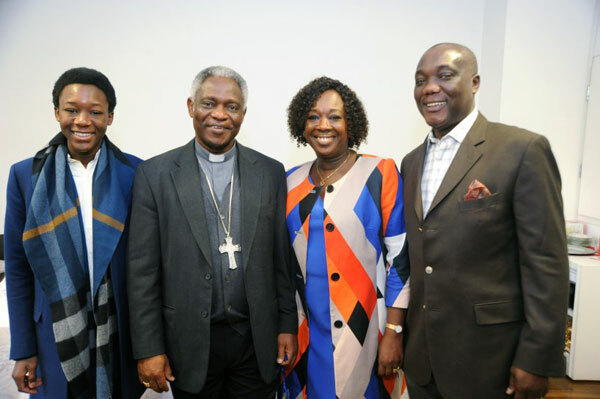 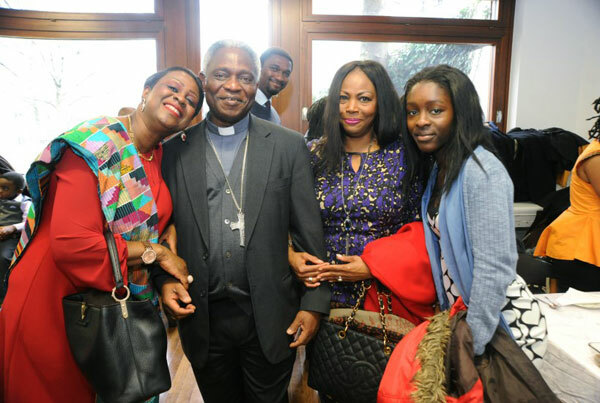 The Ghanaian Community in Geneva invited Ghanaians to attend mass and have an opportunity to interact with His Eminence Cardinal Turkson during the reception. 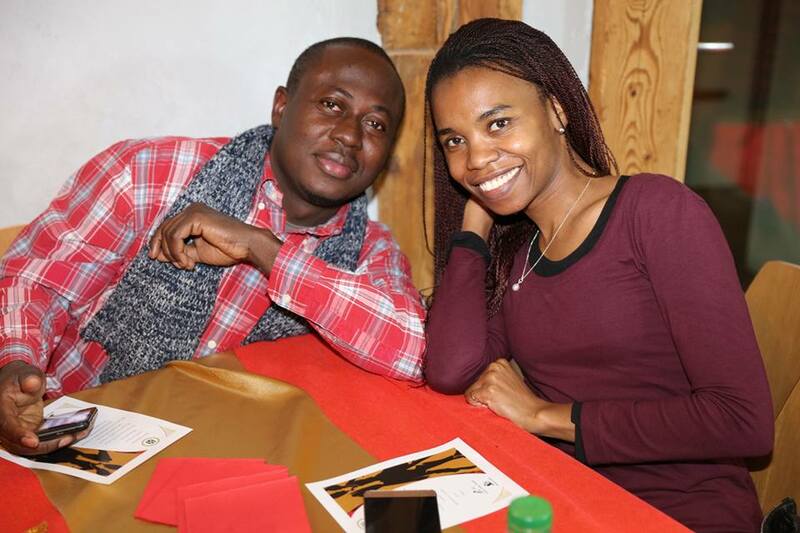 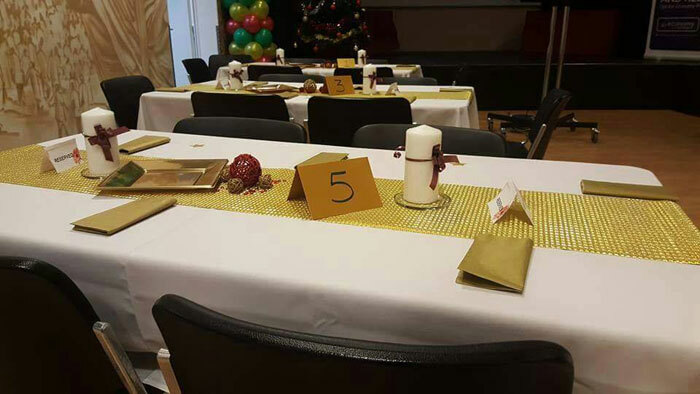 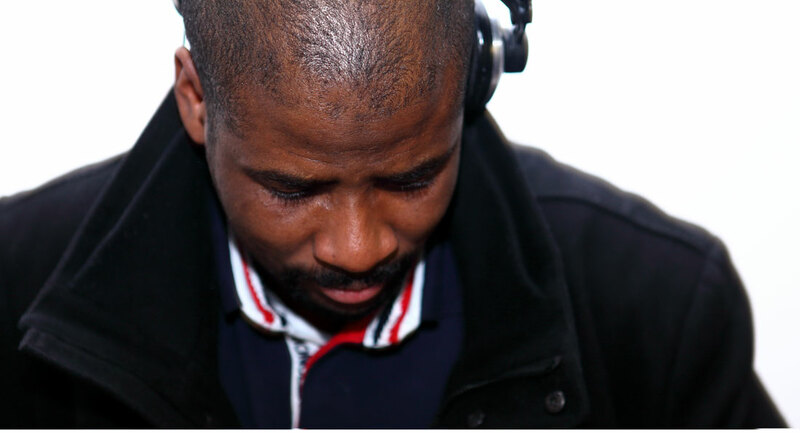 We had our first end of year event and cultural activities in December, 2015. 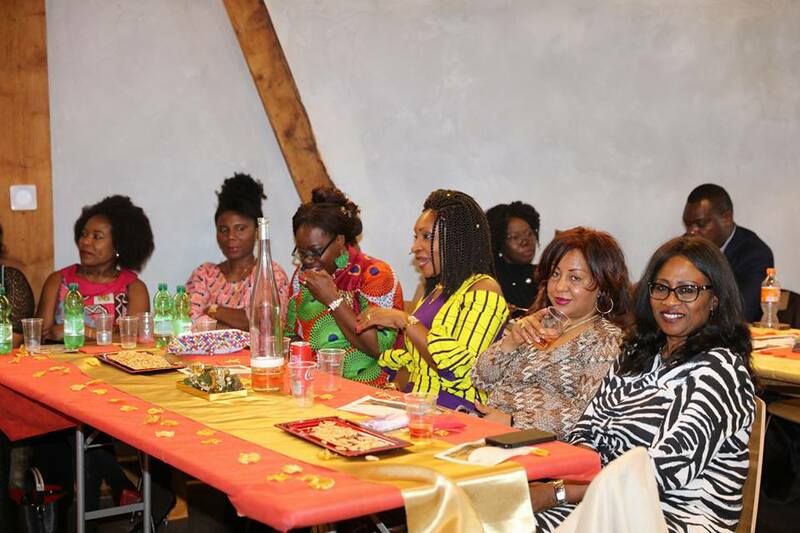 The community and friends were informed of membership registration. 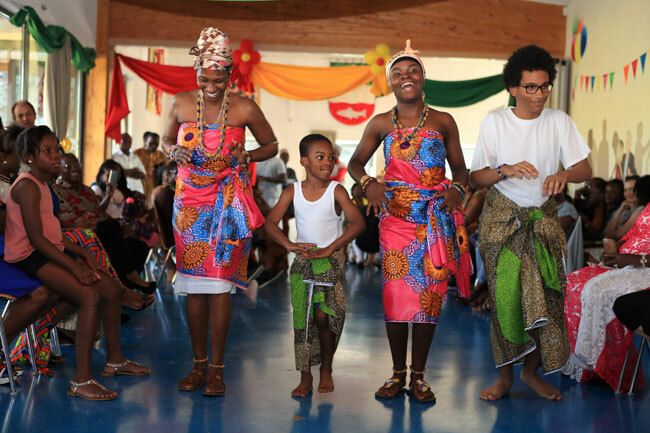 We also had cultural dances performance with local music performed by our distinguished traditional band based in Zurich, and in Germany.